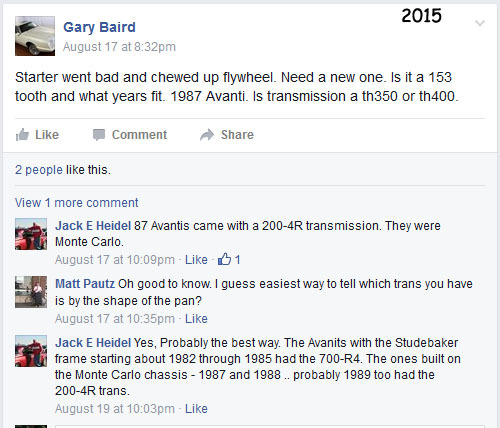 R-1001 to R-1999 . 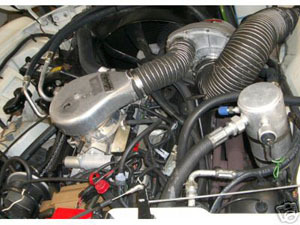 R-2000 to R-2999 . 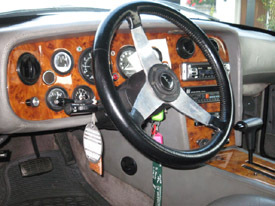 R-3001 to R-3999 . R-4001 to R-4999 . 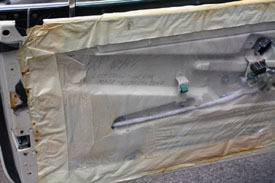 R-5001 to R-5653 . 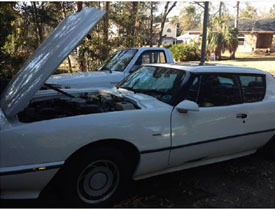 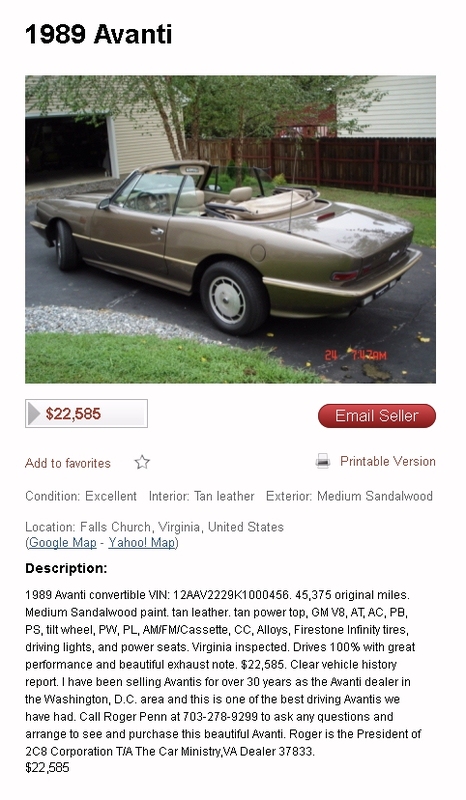 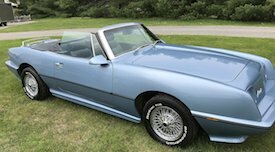 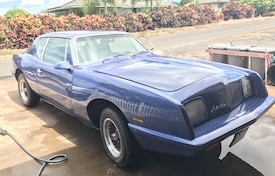 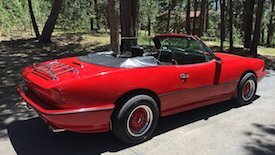 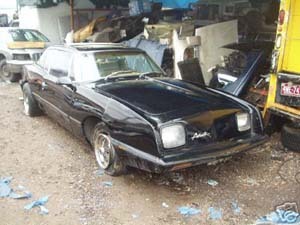 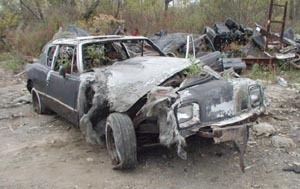 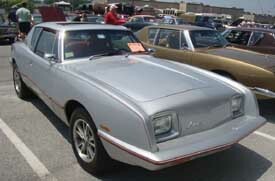 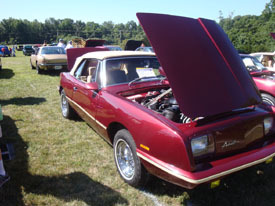 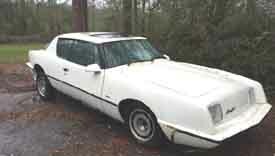 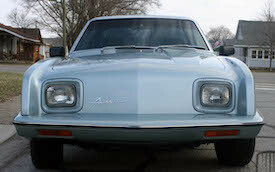 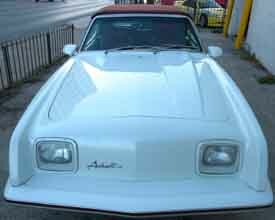 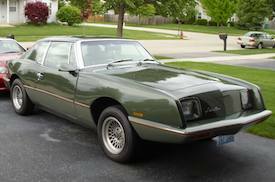 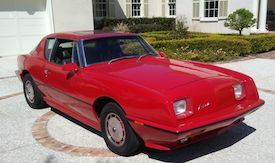 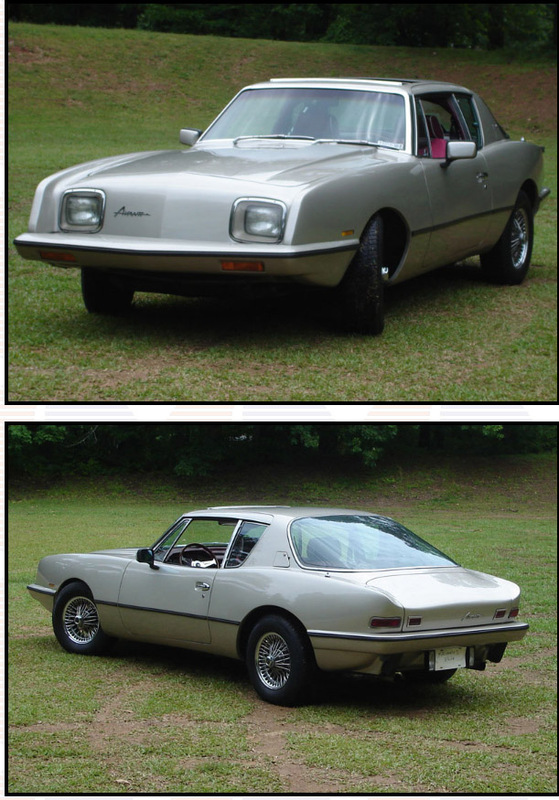 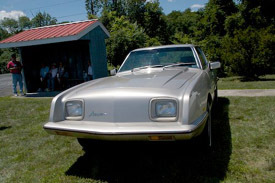 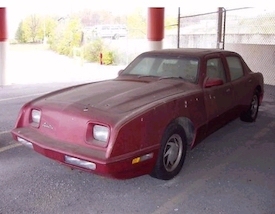 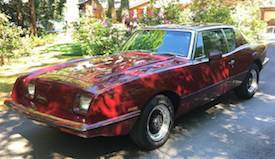 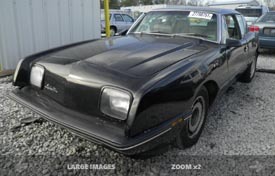 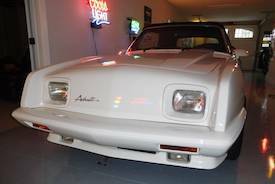 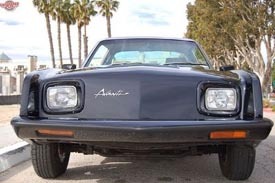 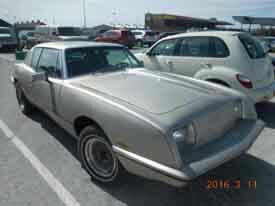 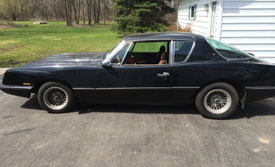 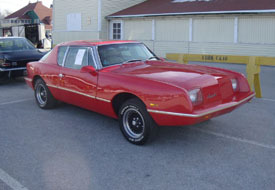 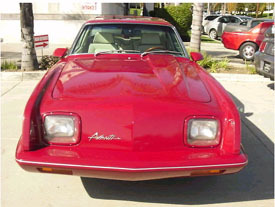 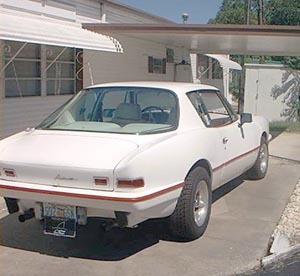 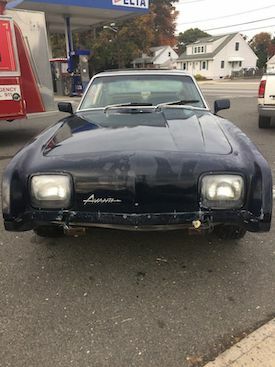 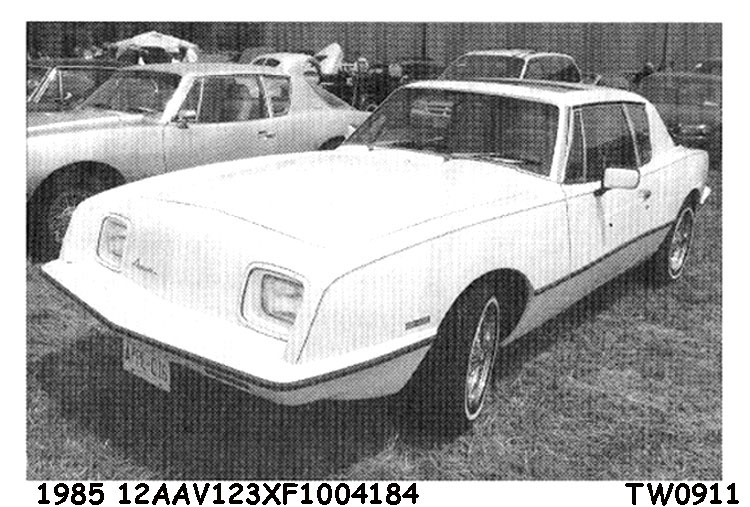 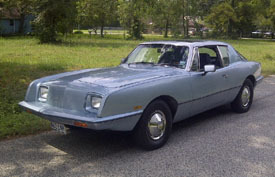 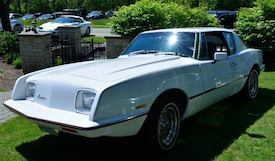 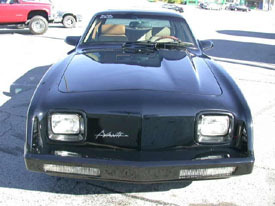 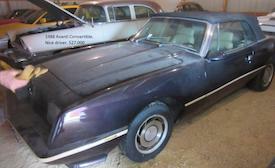 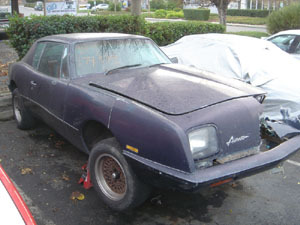 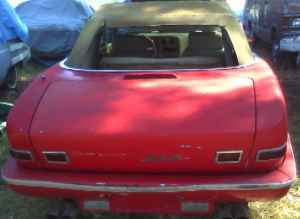 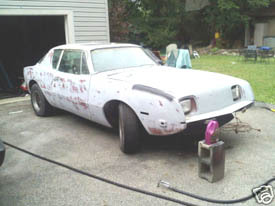 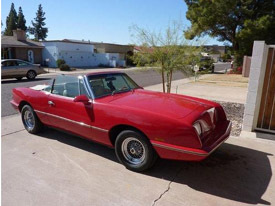 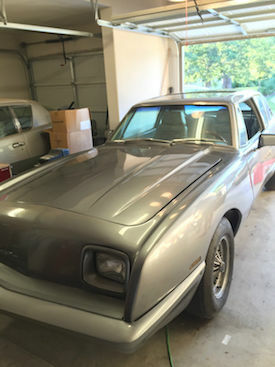 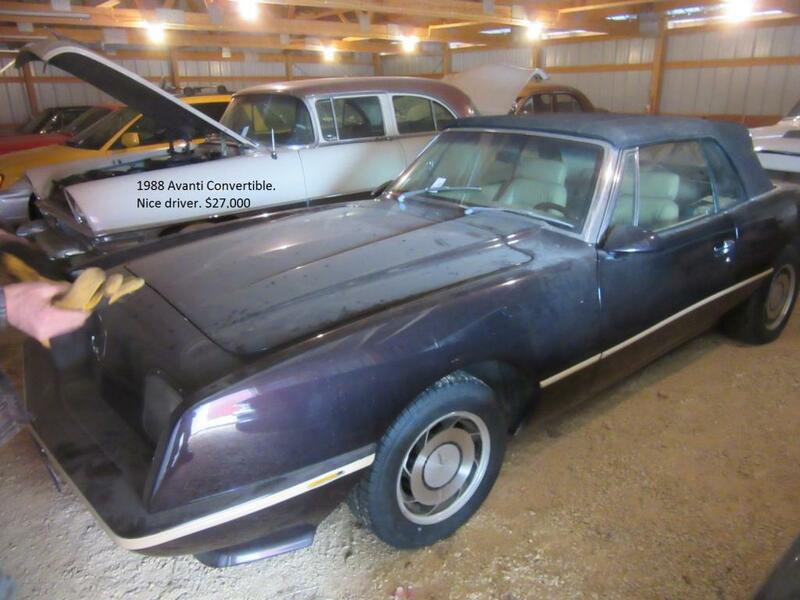 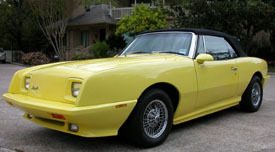 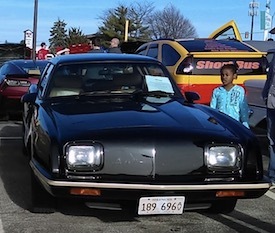 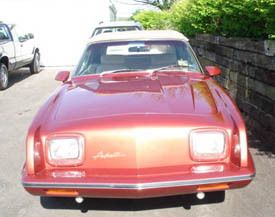 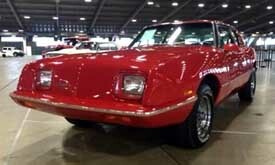 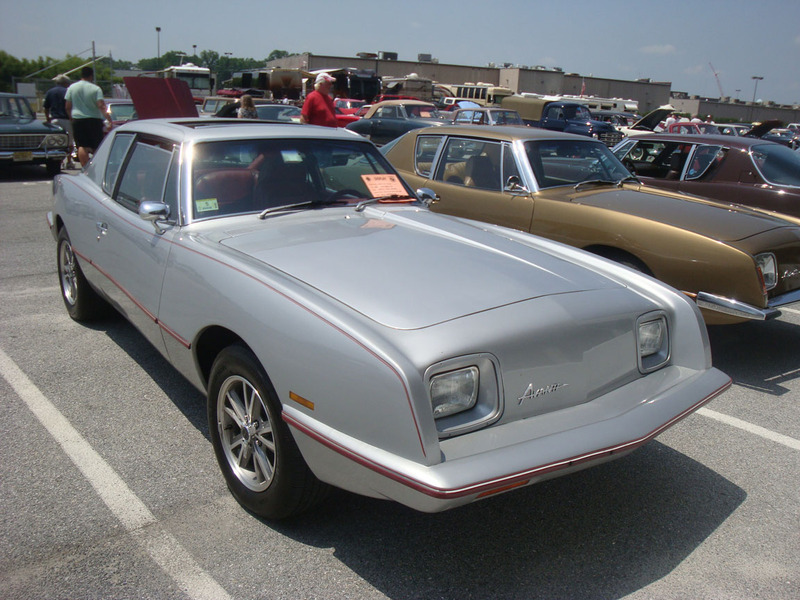 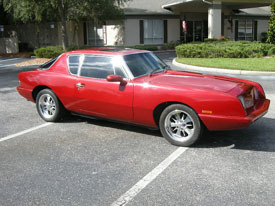 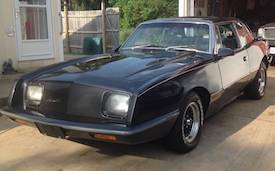 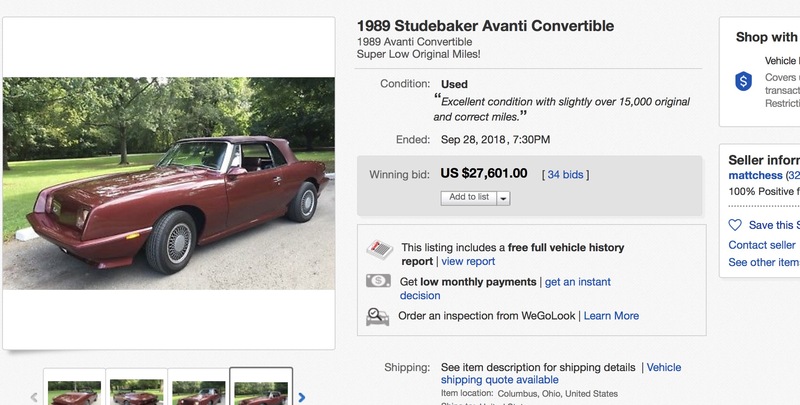 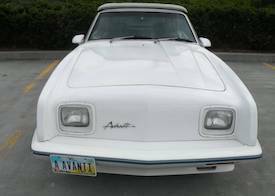 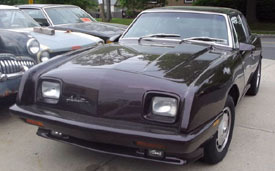 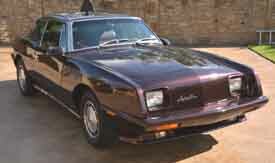 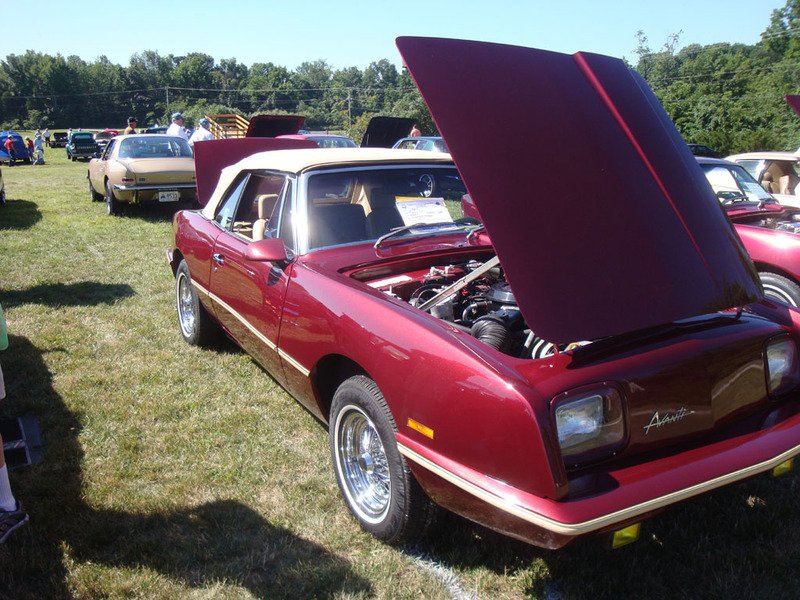 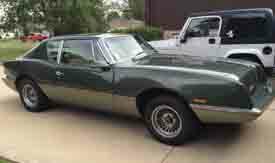 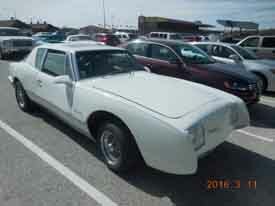 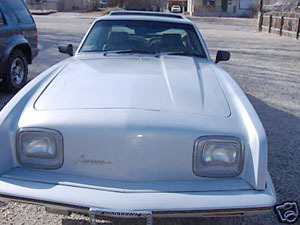 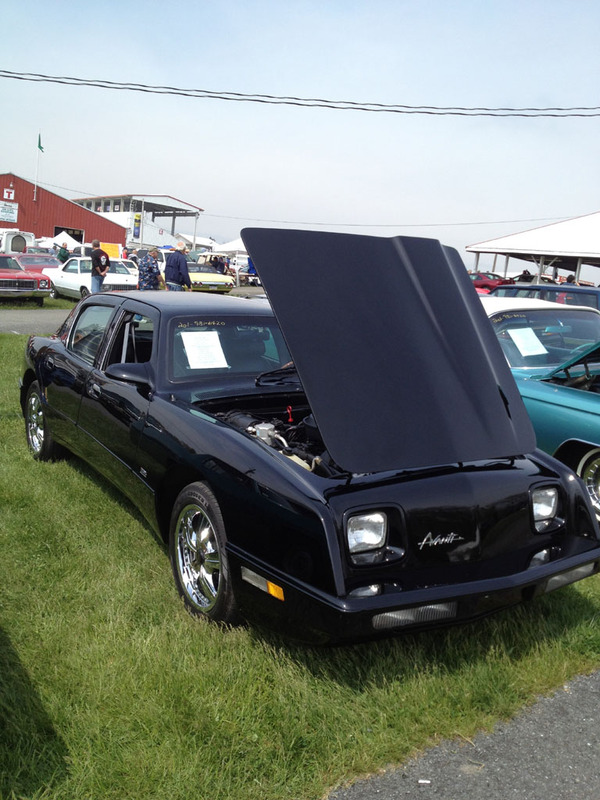 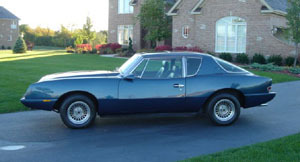 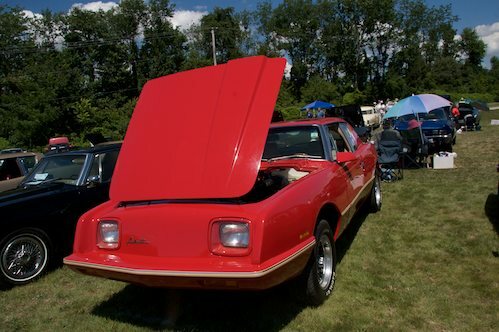 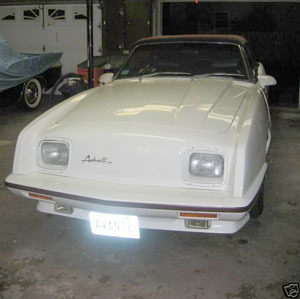 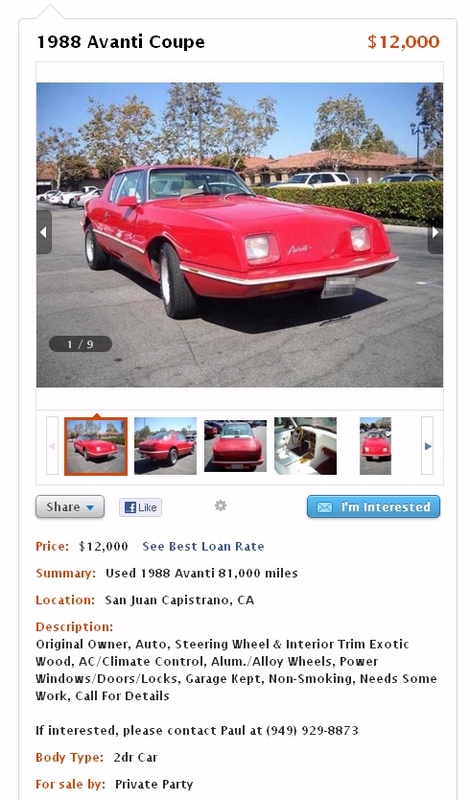 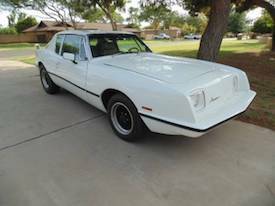 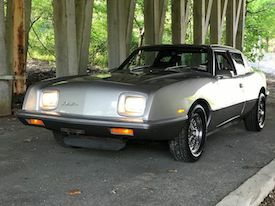 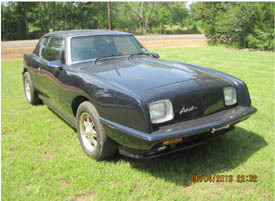 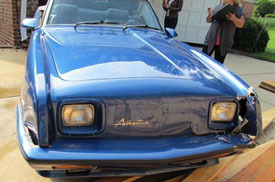 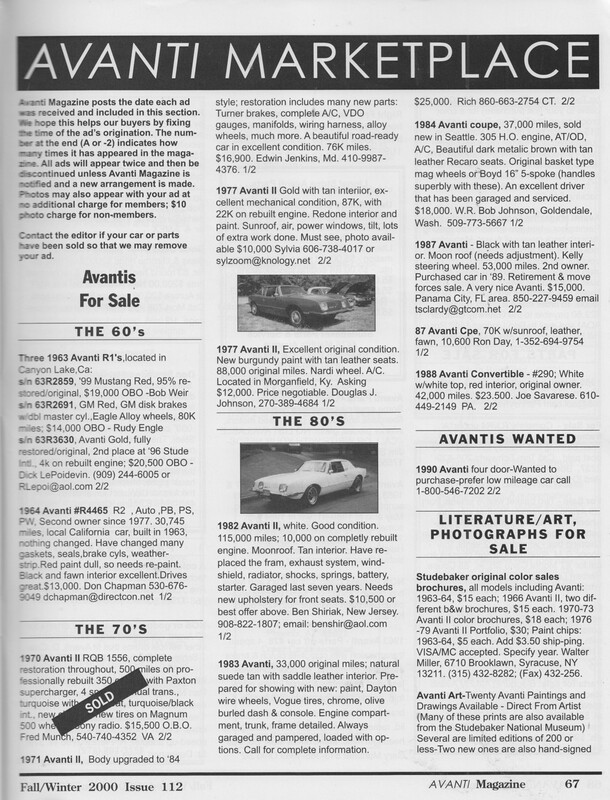 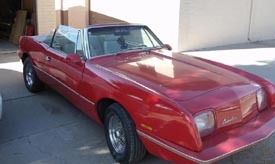 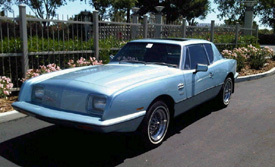 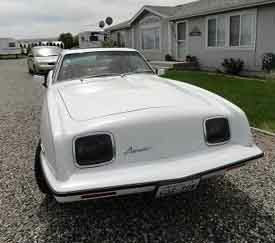 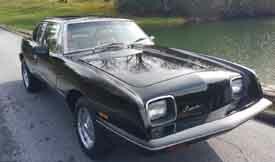 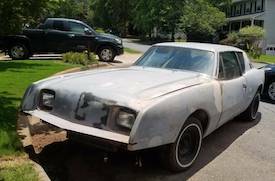 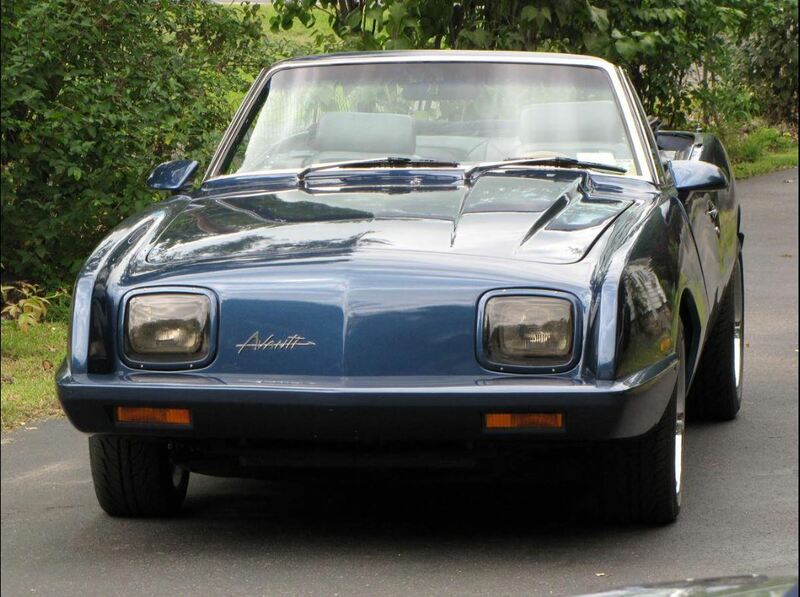 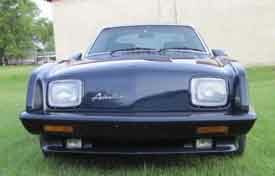 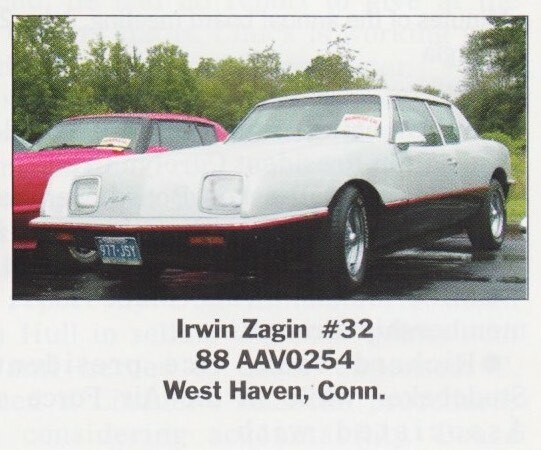 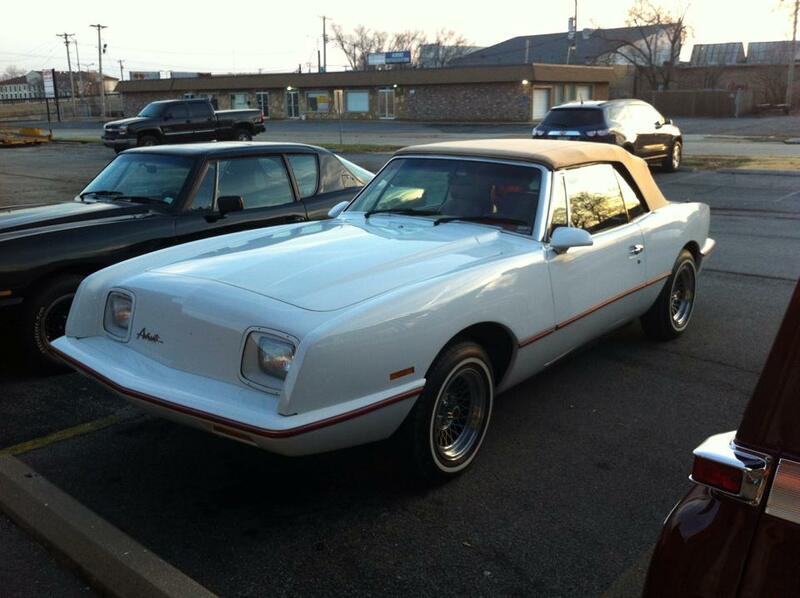 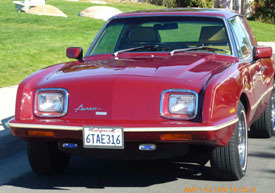 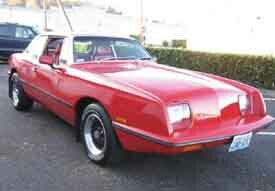 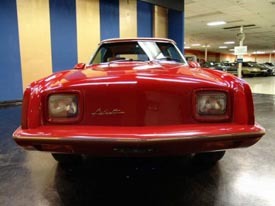 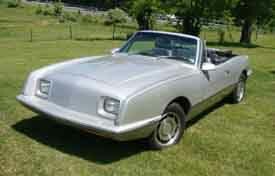 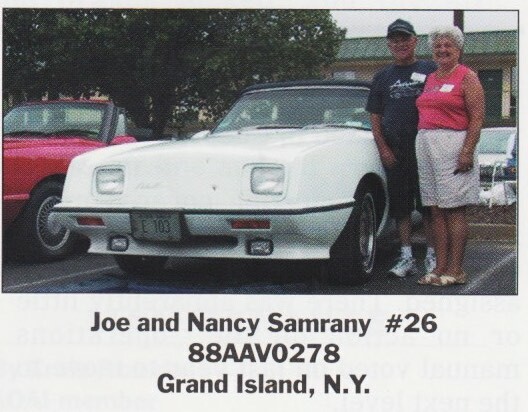 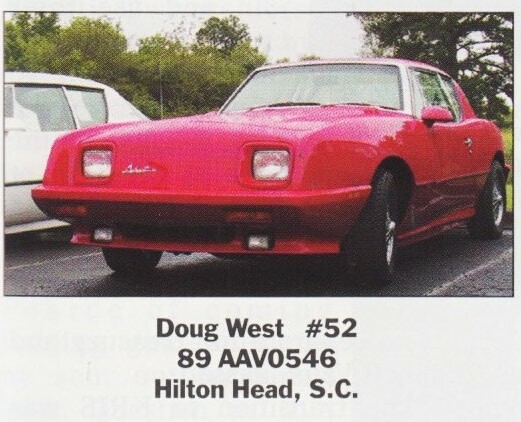 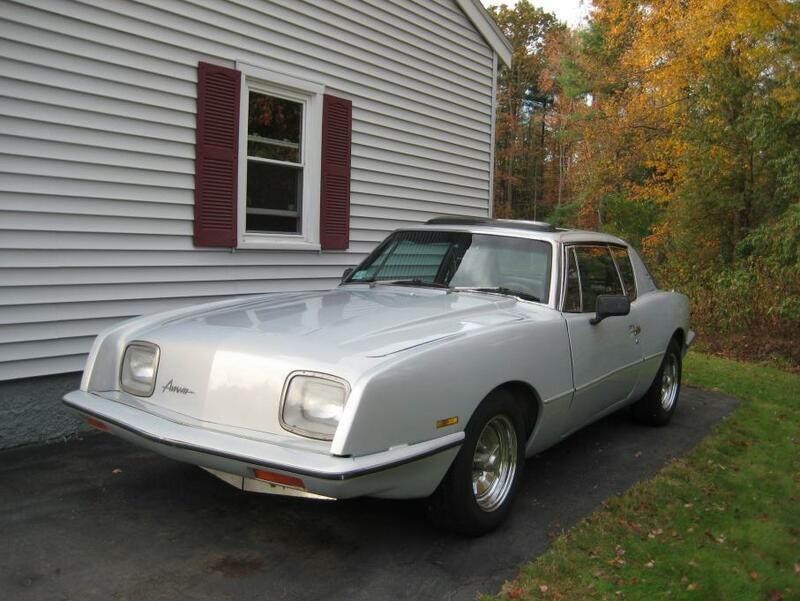 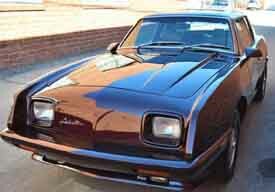 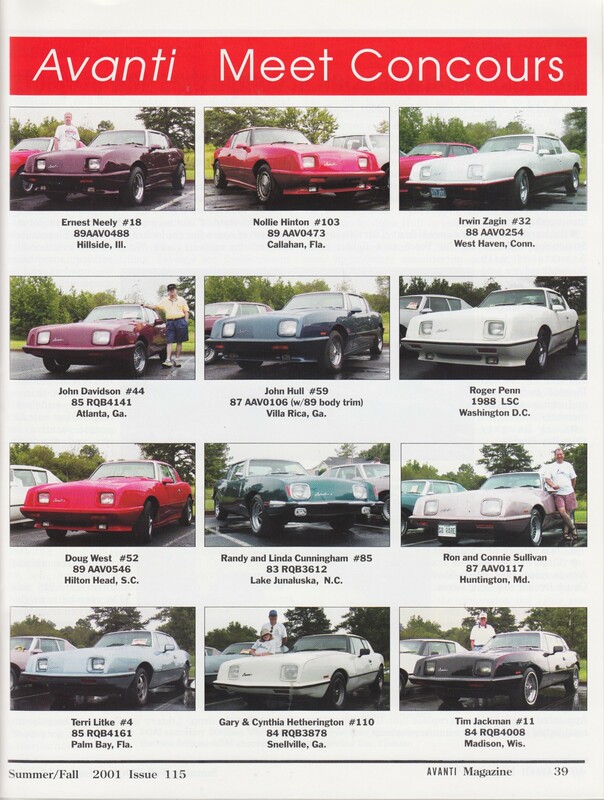 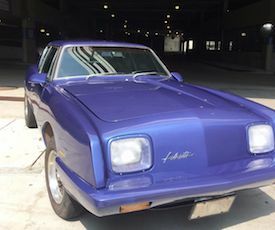 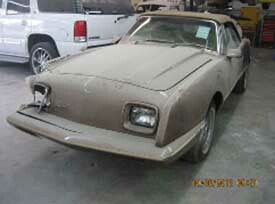 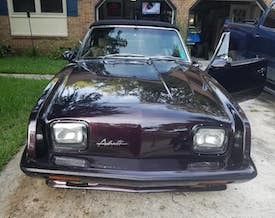 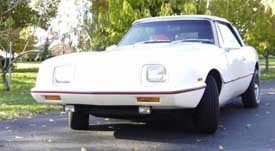 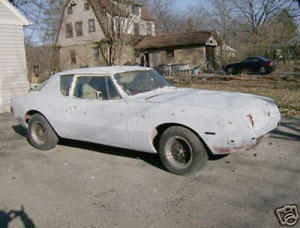 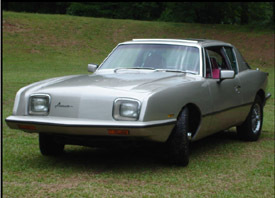 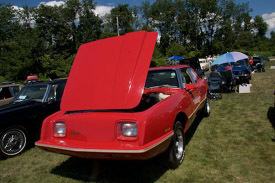 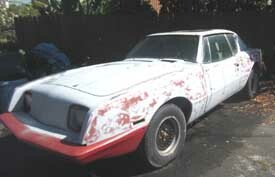 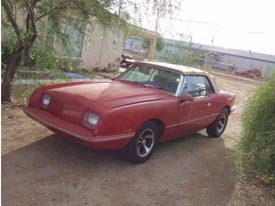 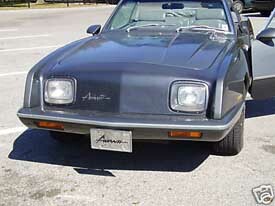 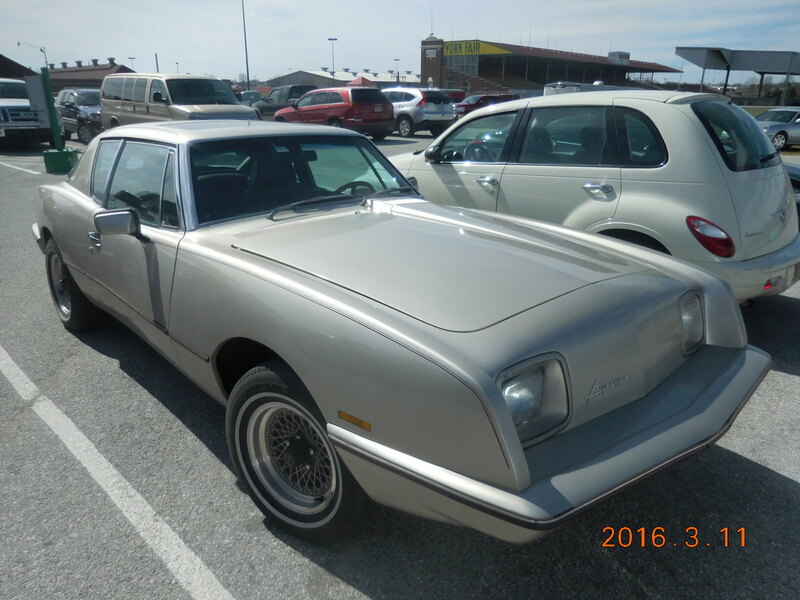 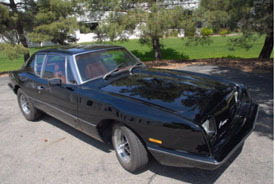 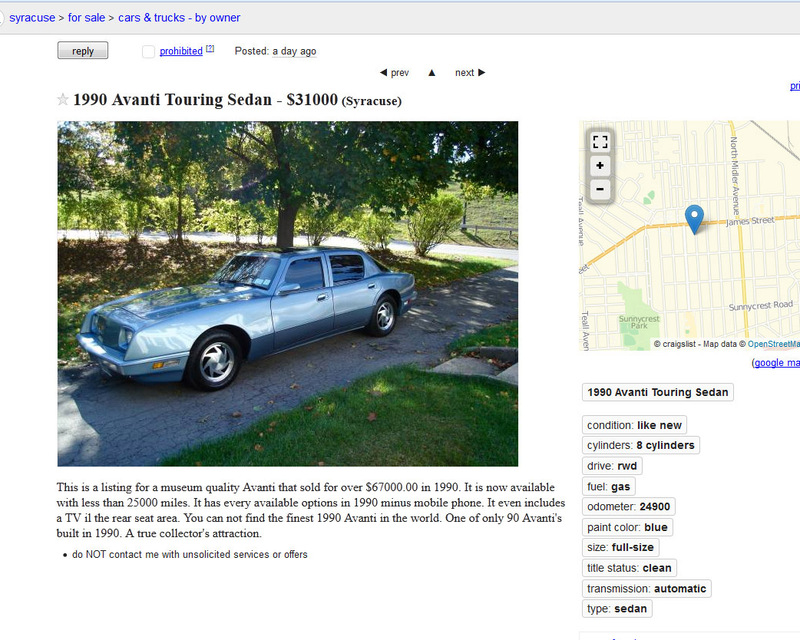 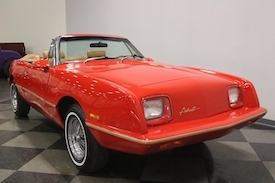 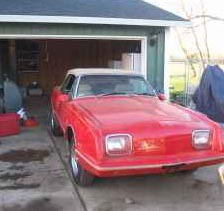 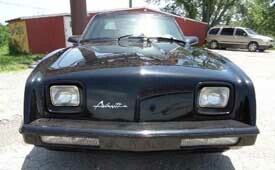 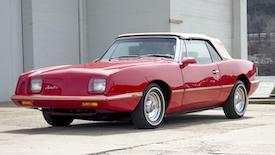 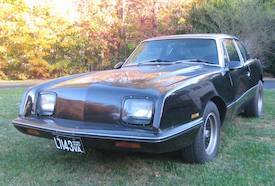 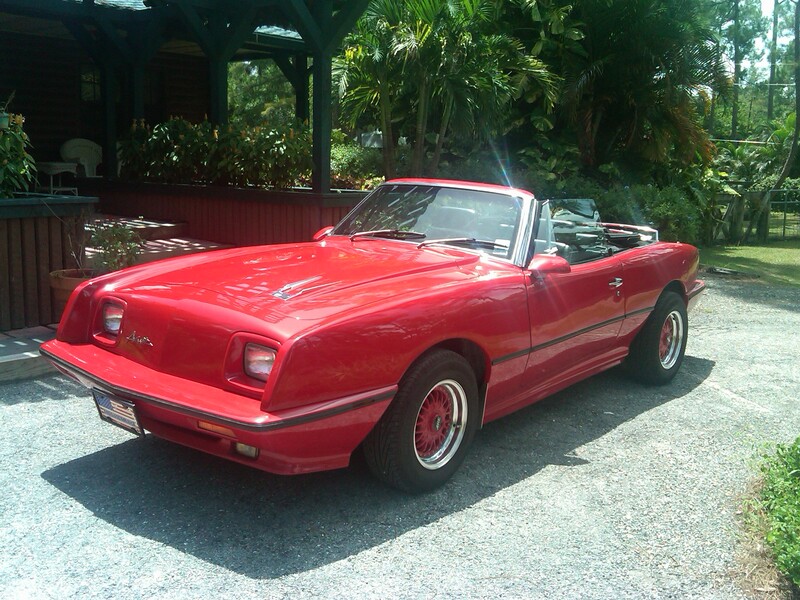 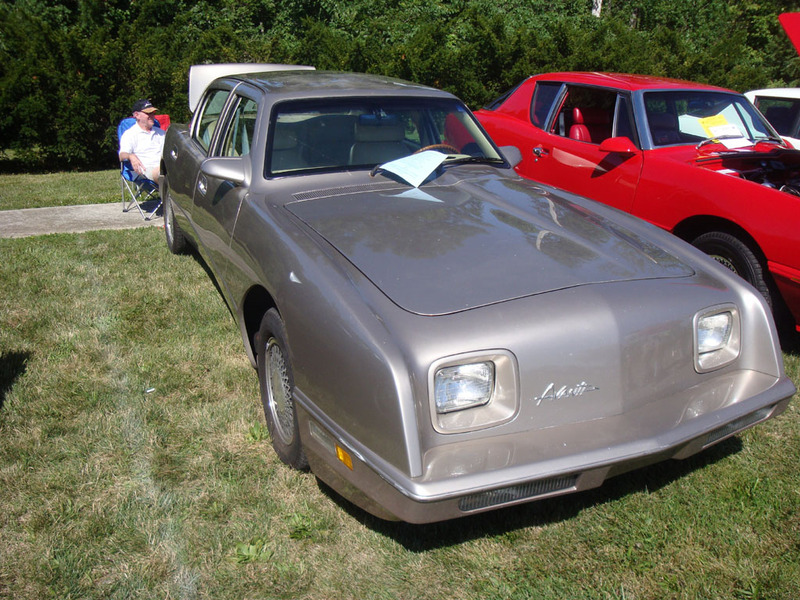 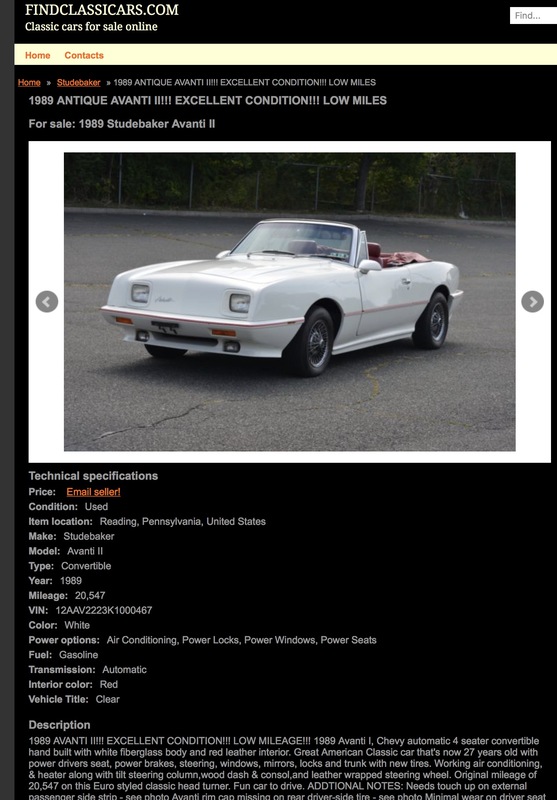 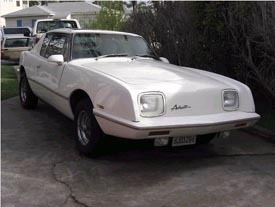 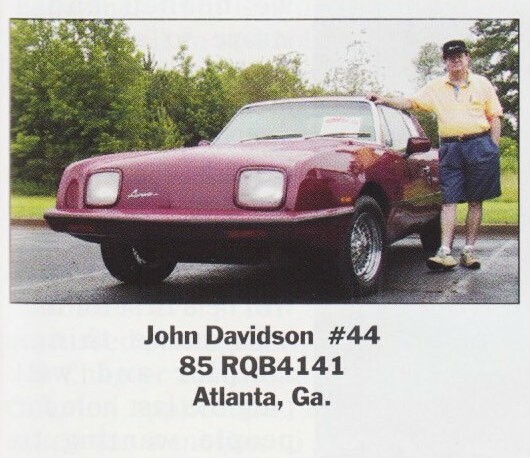 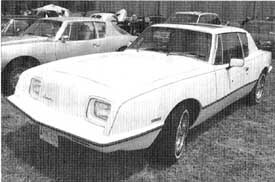 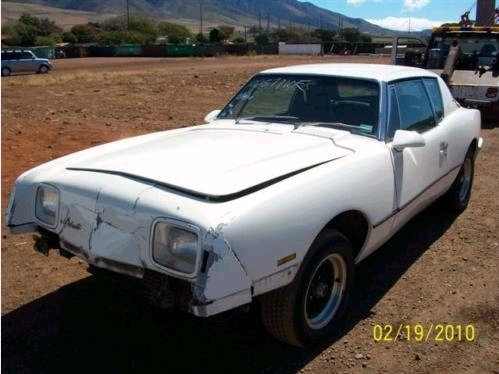 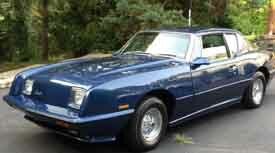 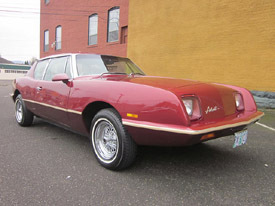 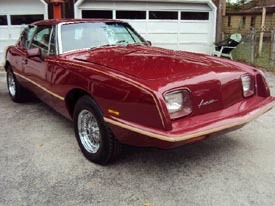 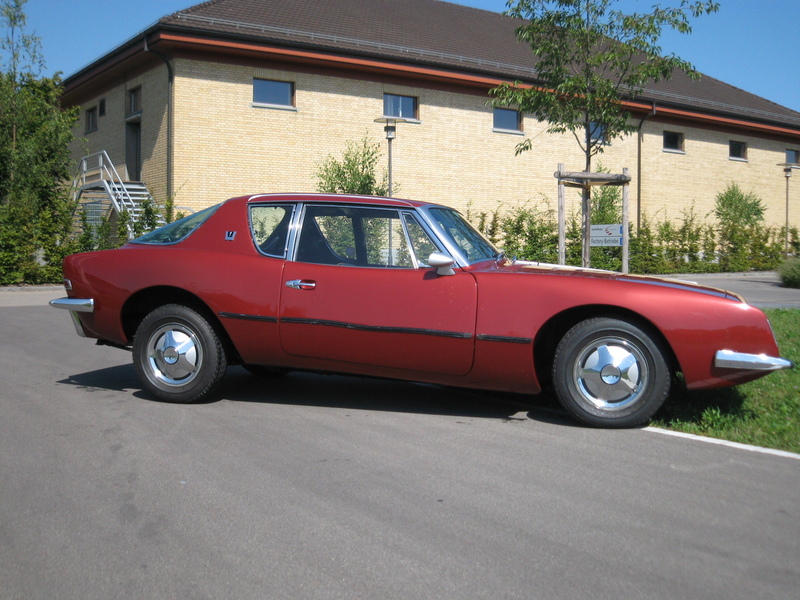 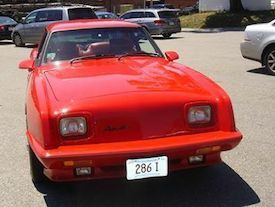 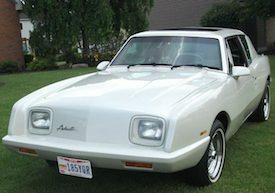 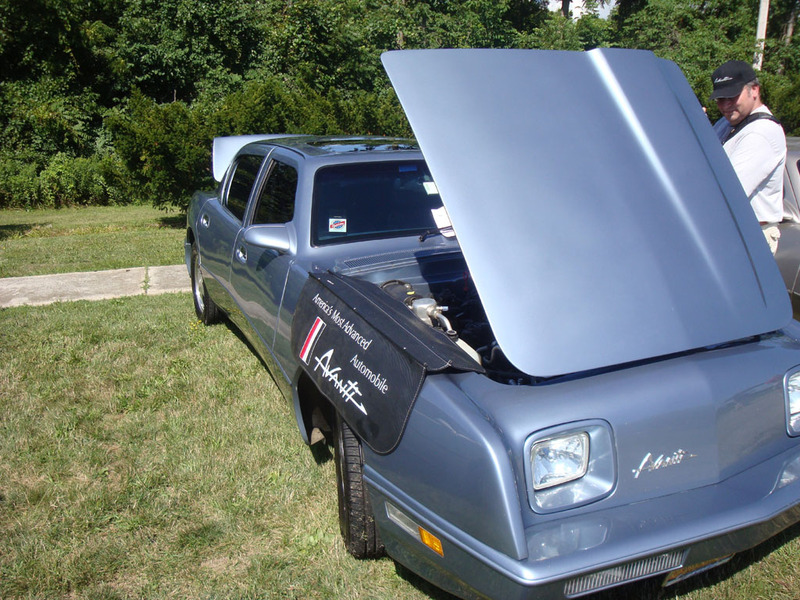 An ongoing database of survivors and ownerships of the Avanti Automobile. 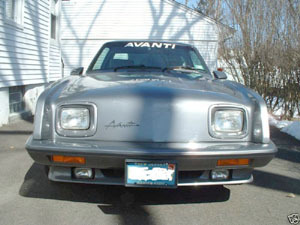 Some are members of the Avanti Chat group. 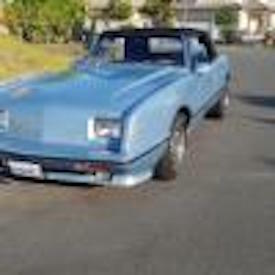 No addresses or phone numbers will be included to protect privacy. 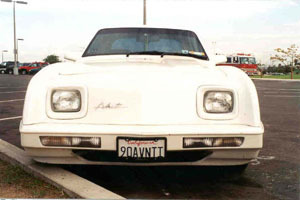 From 1980 up until today, the VIN number has been defined as a 17-character alphanumeric identifier. In 1980, a rule was put into effect by the National Highway Traffic Safety Administration (U.S. Department of Transports) that required all new vehicles sold in the United States have a 17-character VIN. 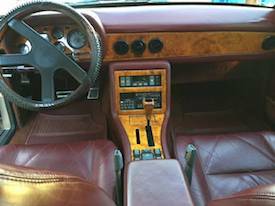 Today we have a fixed VIN system for all major vehicle manufacturers, including motor vehicles, trailers, motorcycles, and mopeds. 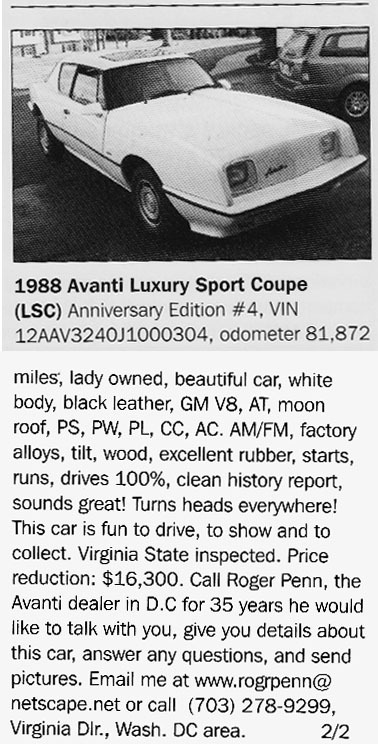 There are no exceptions to this rule. 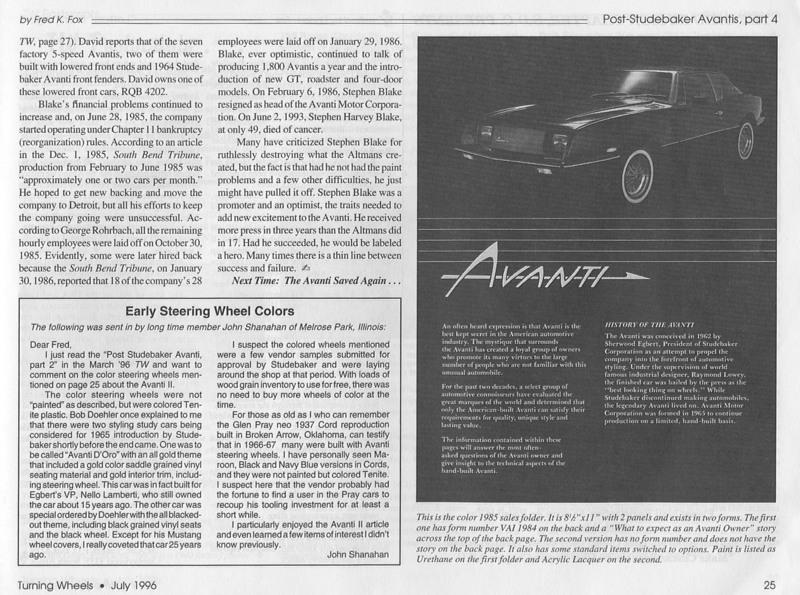 Avanti VIN Numbers read as "12AAV1234nnnnnnn"
Obit - Stephen Blake Mr. Blake, upon taking control of the company embarked on making changes at Avanti. 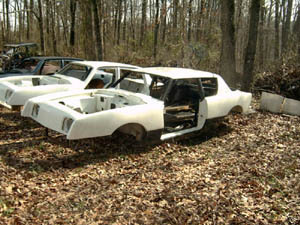 One of the first items on his list of things to do was to drop the "II" designation and return the car to its original roots. 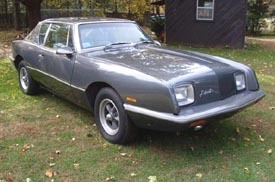 It would again be known as the Avanti. 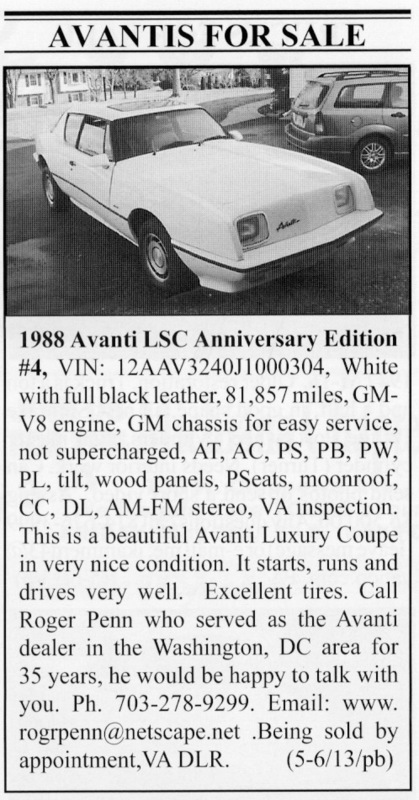 Next on the list was to introduce a special model to commemorate the 20th Anniversary of the Avantis introduction. 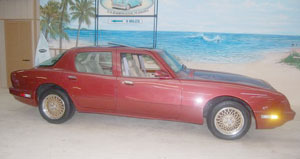 The 1983 20th Anniversary Model was introduced at the Chicago Auto Show. 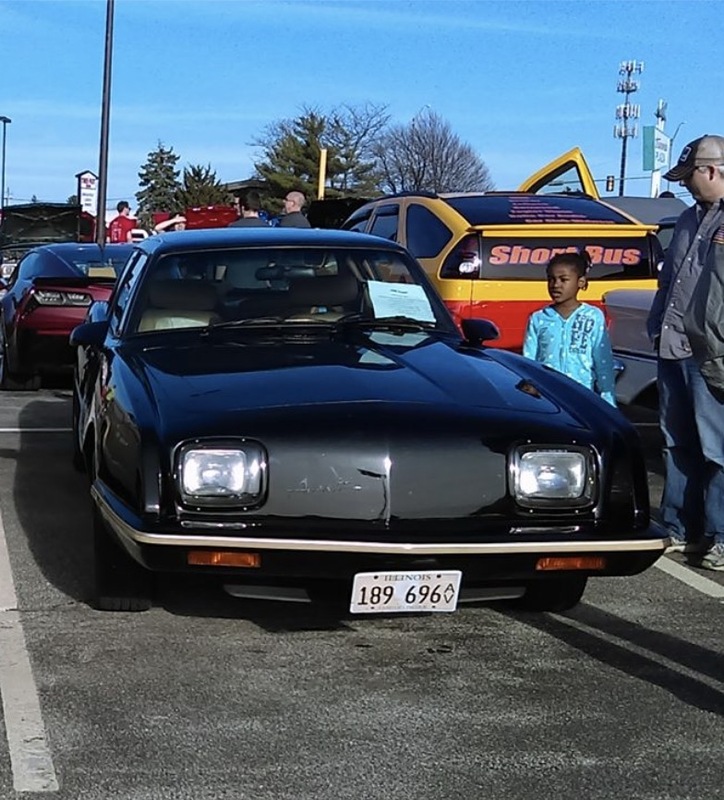 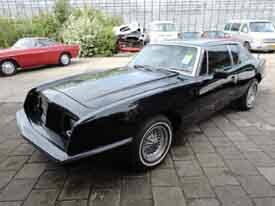 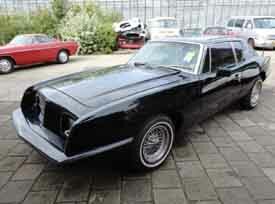 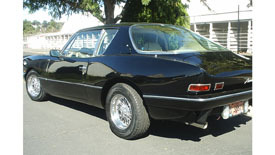 This all black, no chrome, euro-tech look Avanti was a radical departure from previous editions. 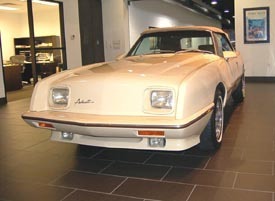 The Anniversary car was followed by a special limited run of touring coupe editions. 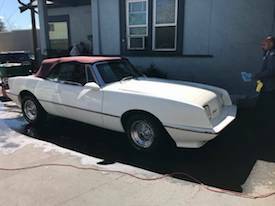 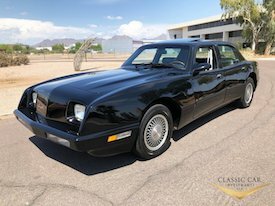 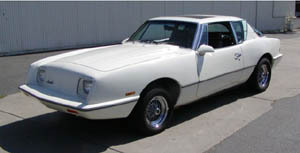 Work began late in 1984 on two projects which would point the way to the direction Mr. Blake felt Avanti should be heading. 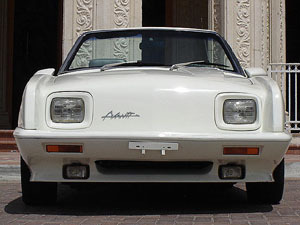 The first was the development of a convertible to complement the coupe and the Avanti GT a mid year replacement for the coupe with a custom chassis and suspension. 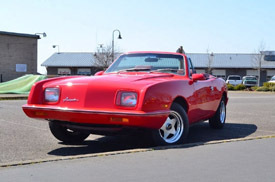 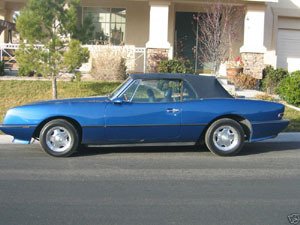 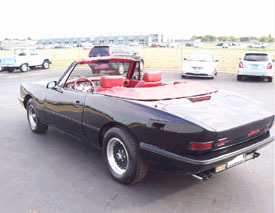 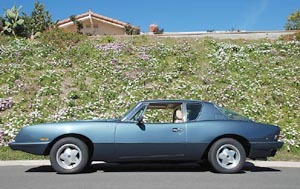 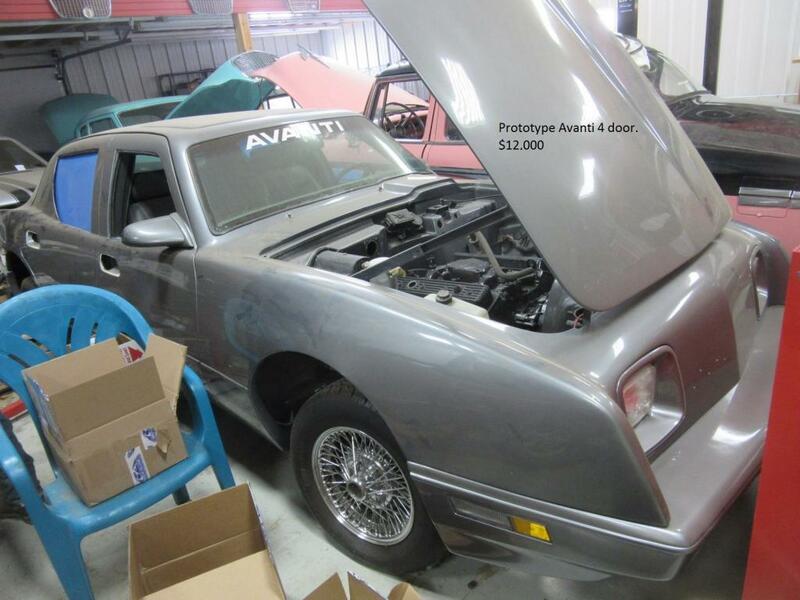 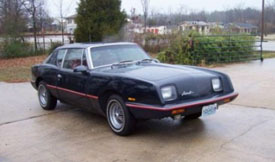 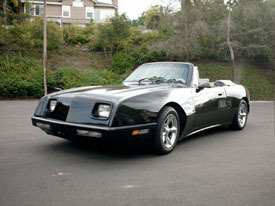 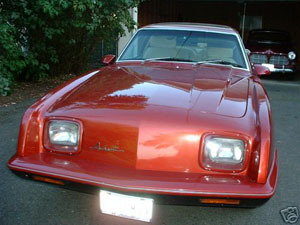 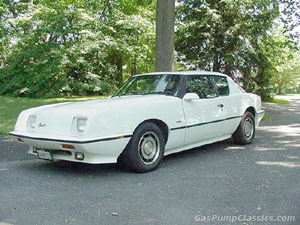 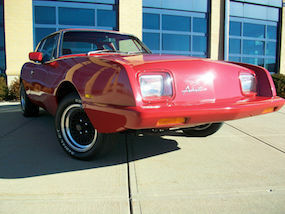 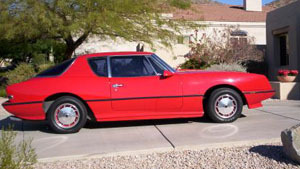 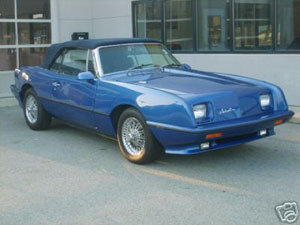 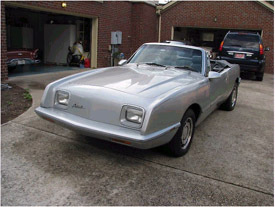 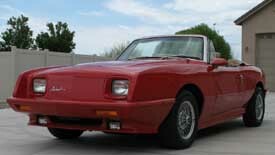 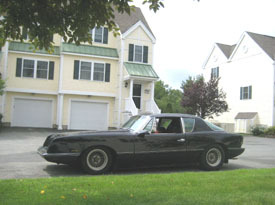 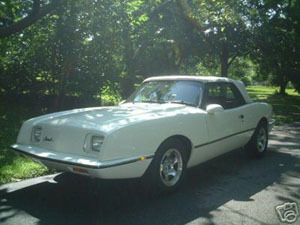 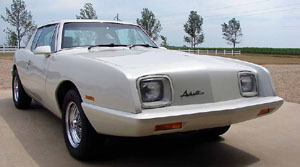 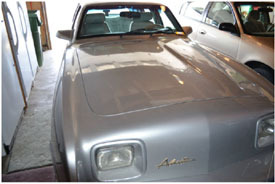 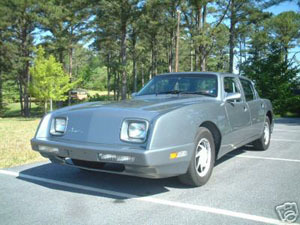 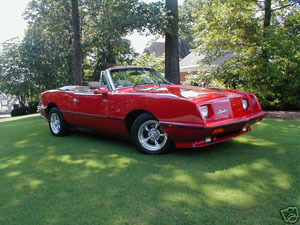 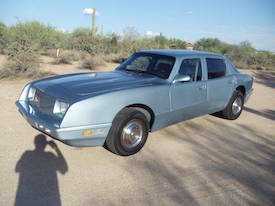 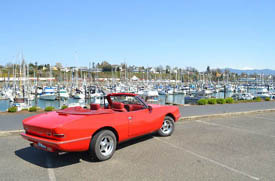 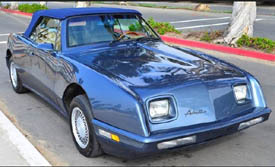 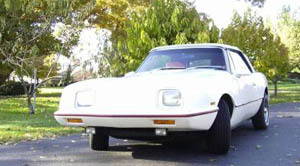 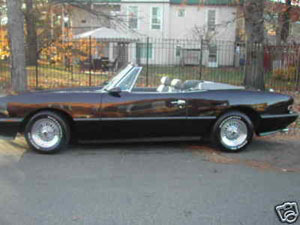 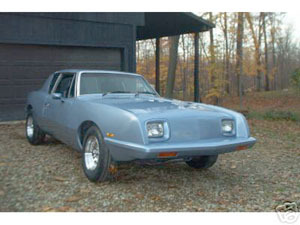 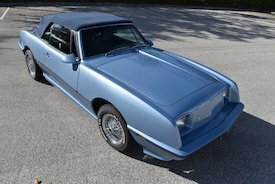 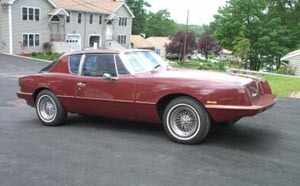 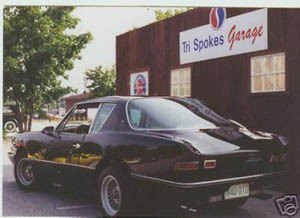 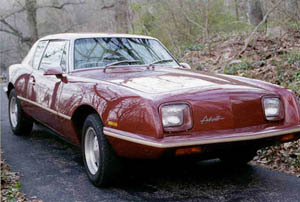 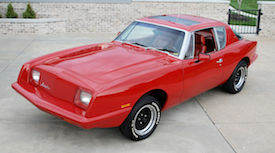 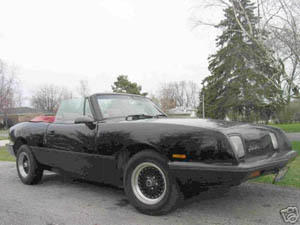 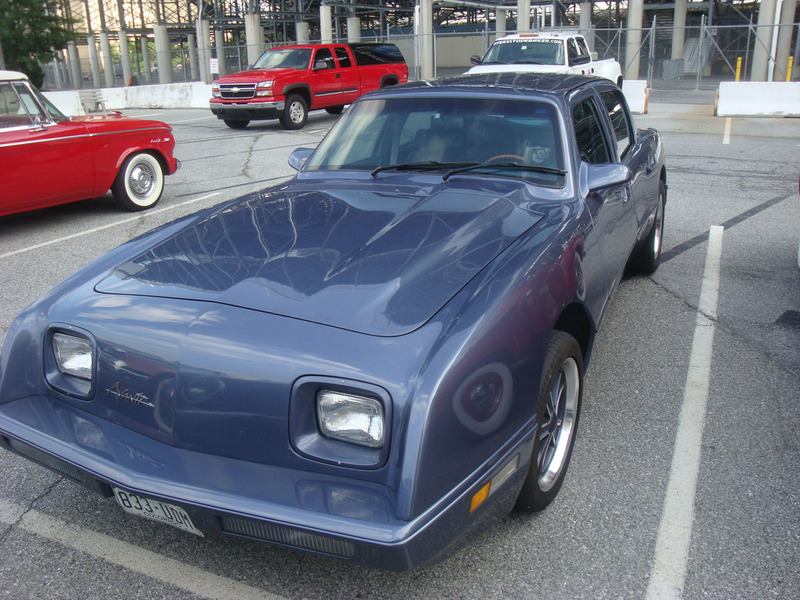 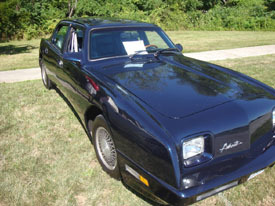 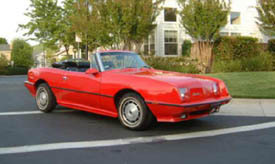 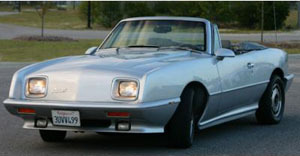 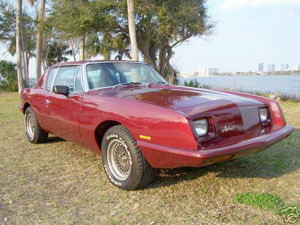 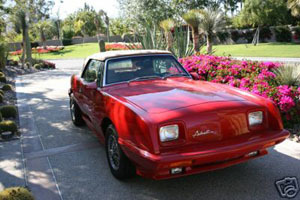 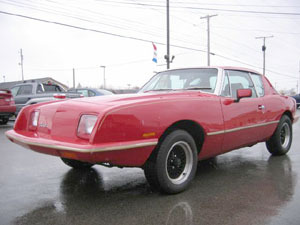 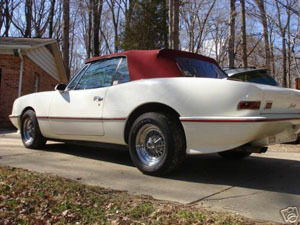 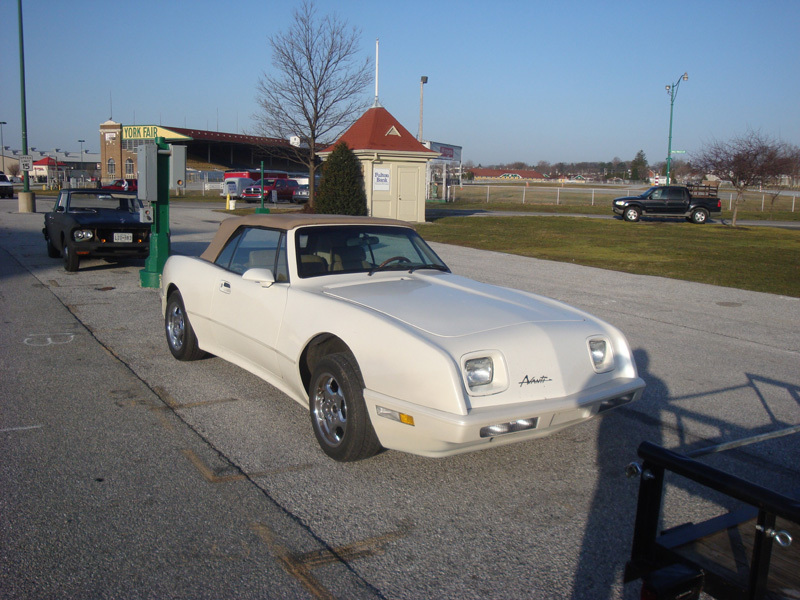 Both projects while completed were not actively pursued as Avanti Motor Corporation filed for Bankruptcy early in 1985. 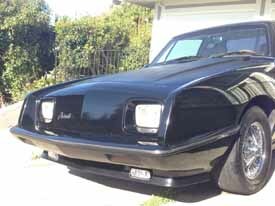 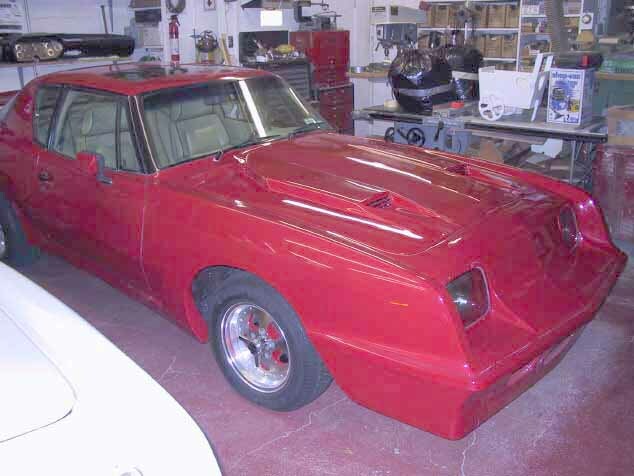 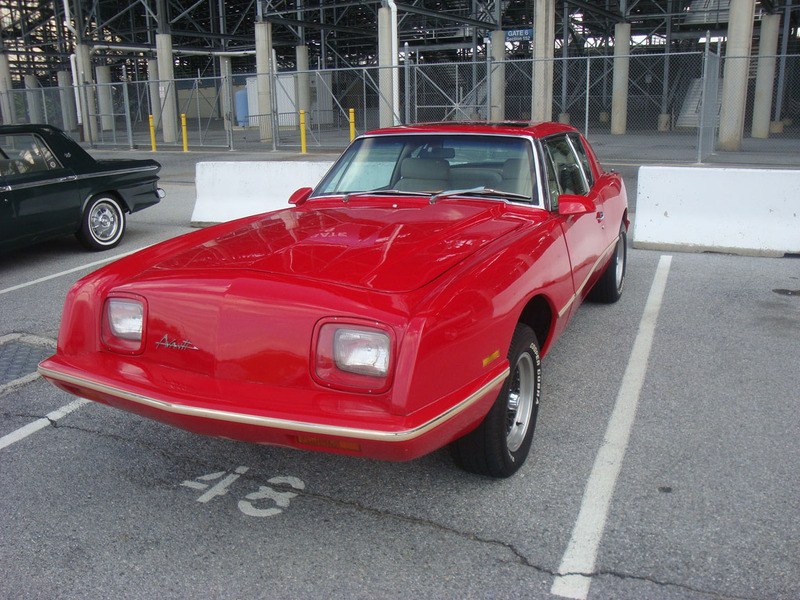 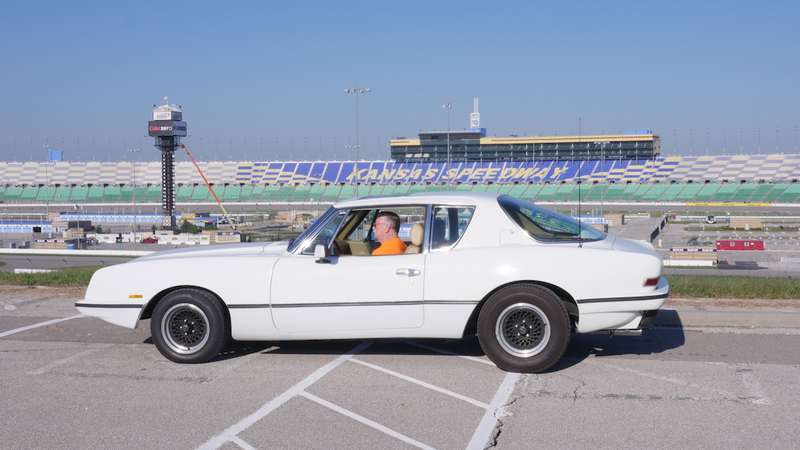 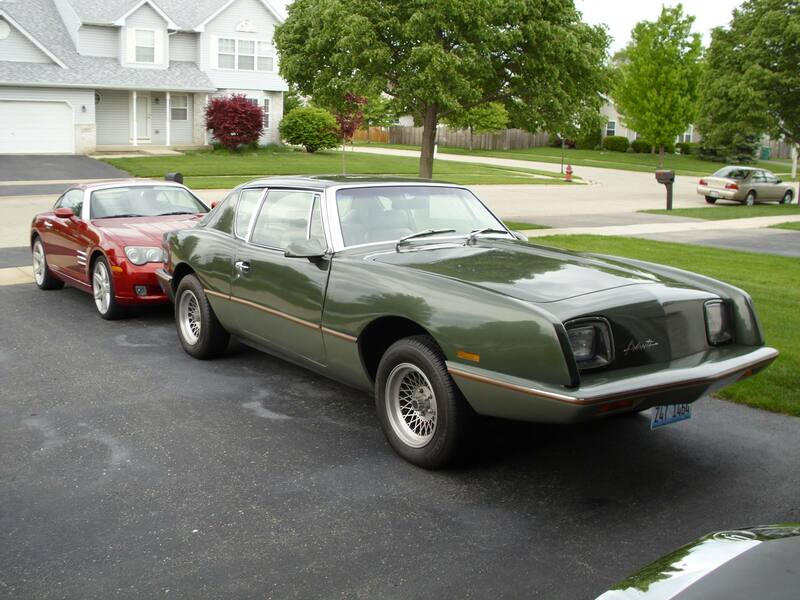 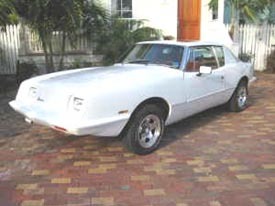 Mr. Blake was also responsible for a limited racing program where a specially prepared Avanti was raced at Daytona. 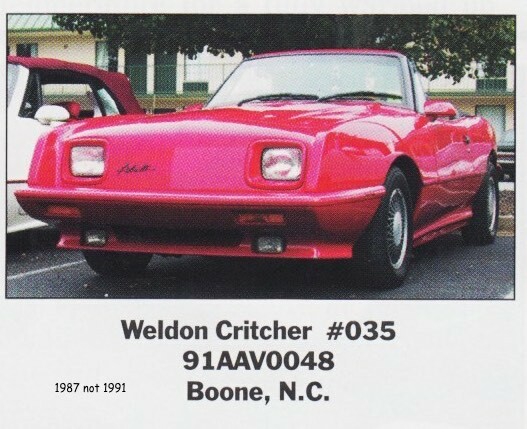 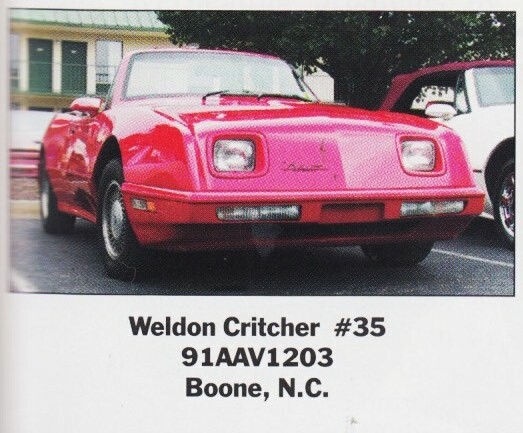 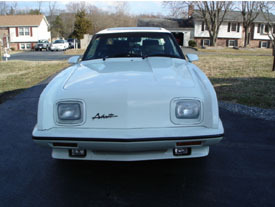 Among other things, 1984 produced changes in bumper styles from steel to designs in Kevlar, color coded units with comparably changed front & rear support structures. 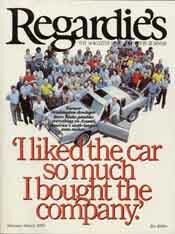 The use of Recarro seats was discontinued after 1985 for much less expensive GM seats. 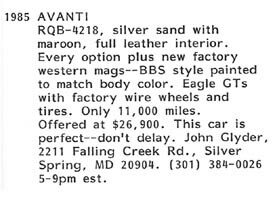 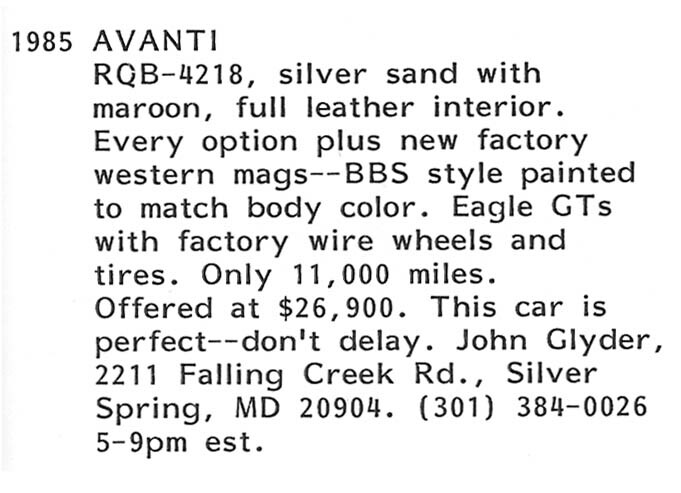 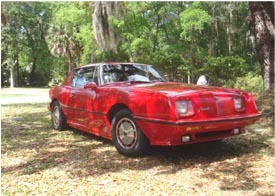 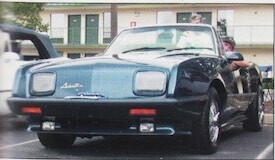 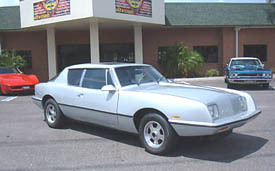 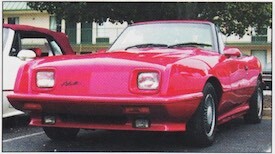 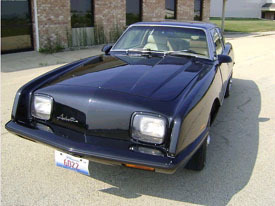 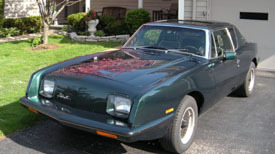 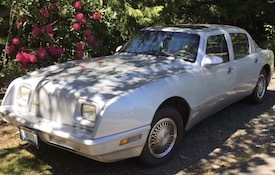 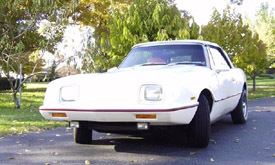 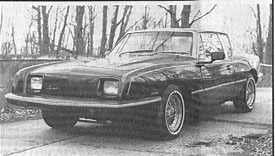 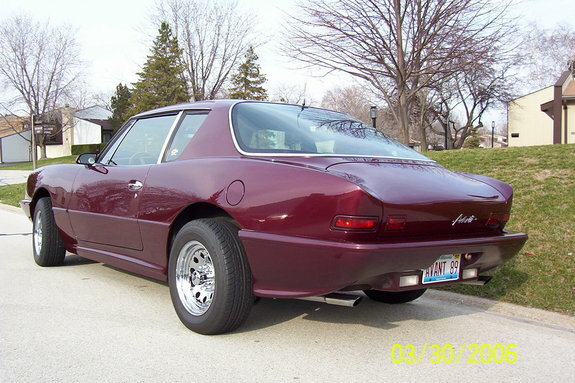 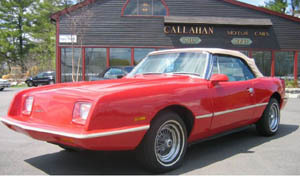 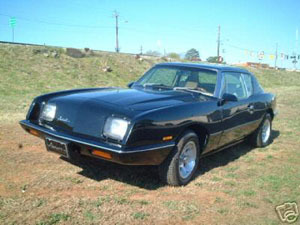 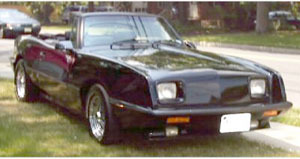 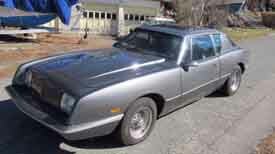 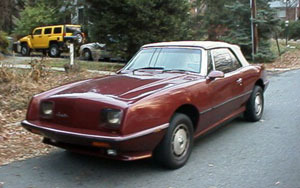 The 87/88 Avanti used the Monte Carlo SS type. 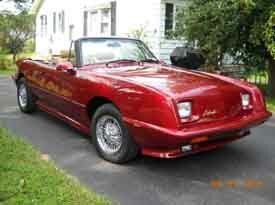 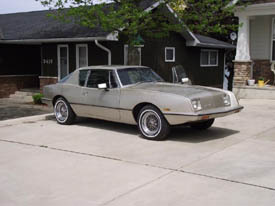 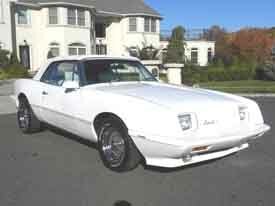 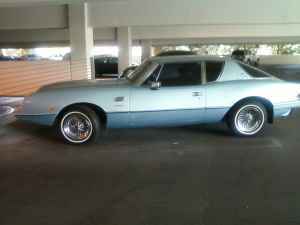 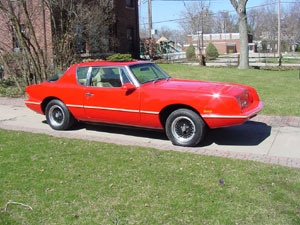 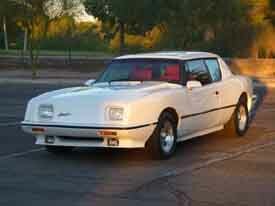 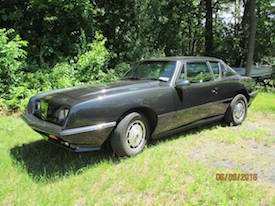 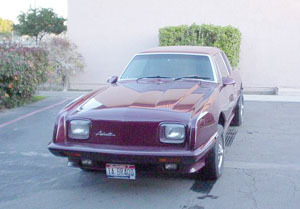 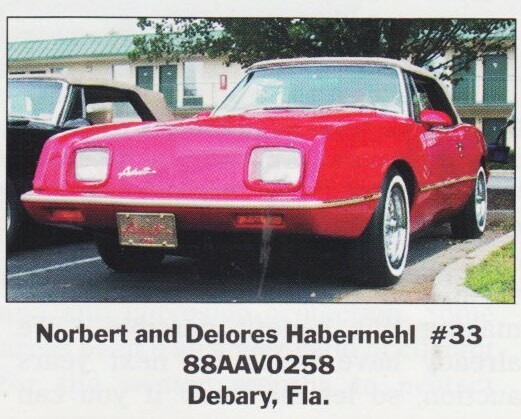 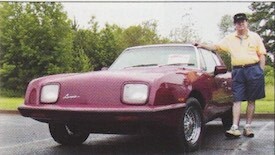 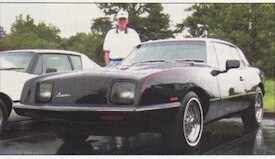 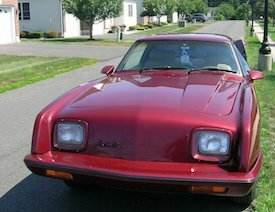 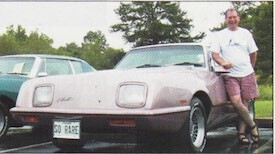 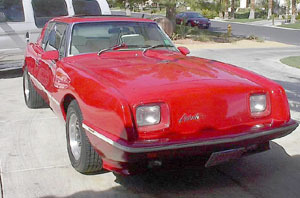 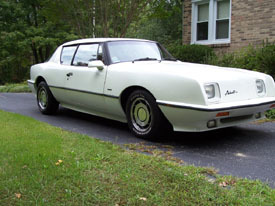 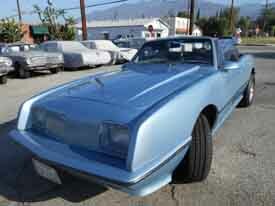 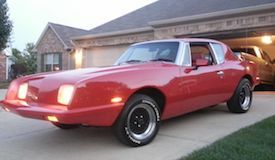 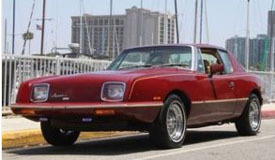 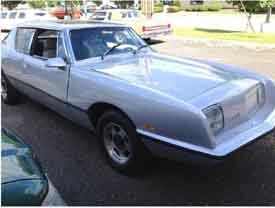 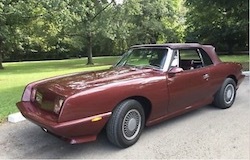 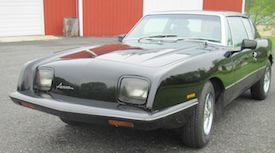 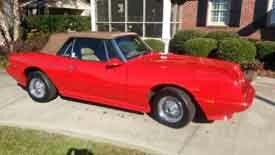 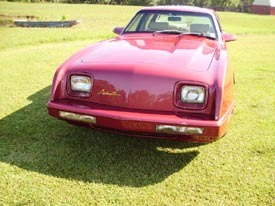 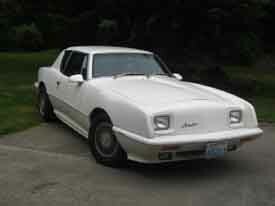 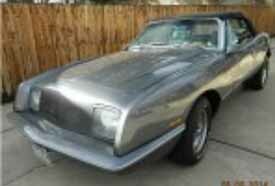 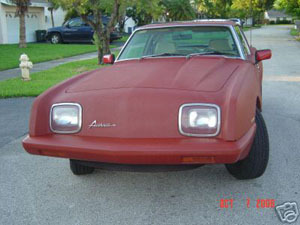 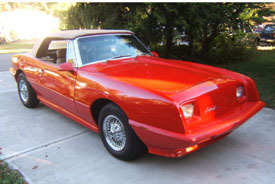 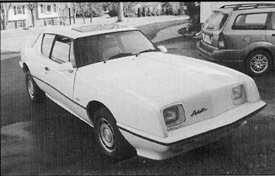 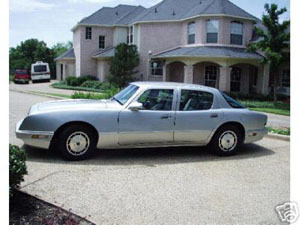 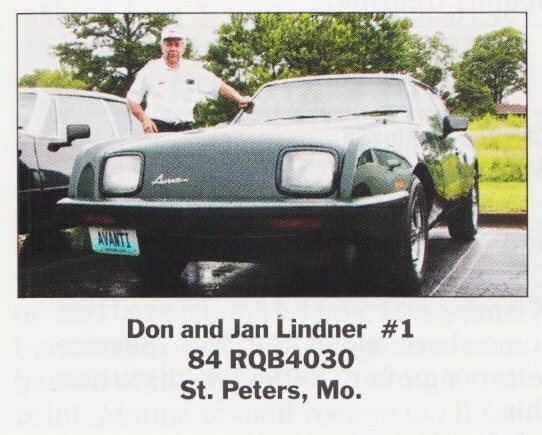 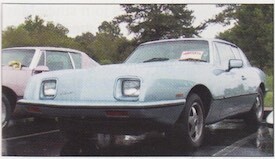 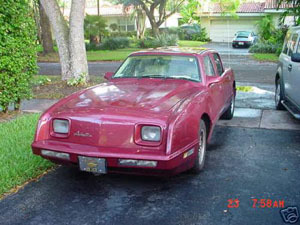 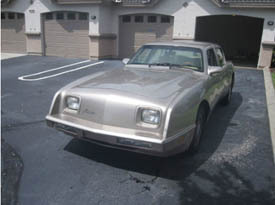 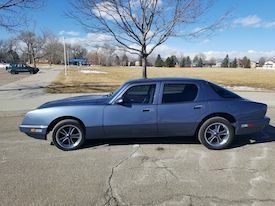 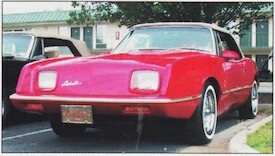 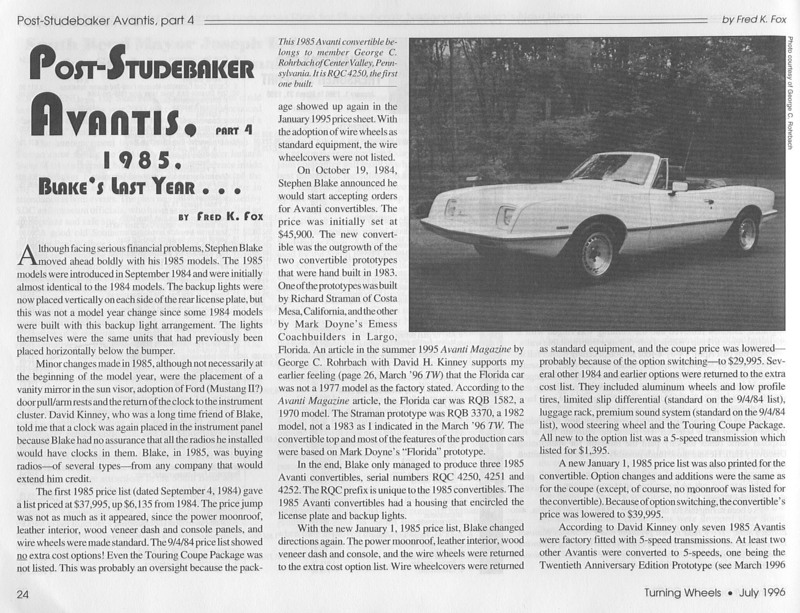 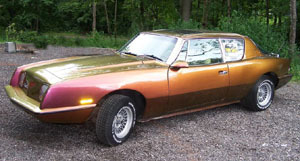 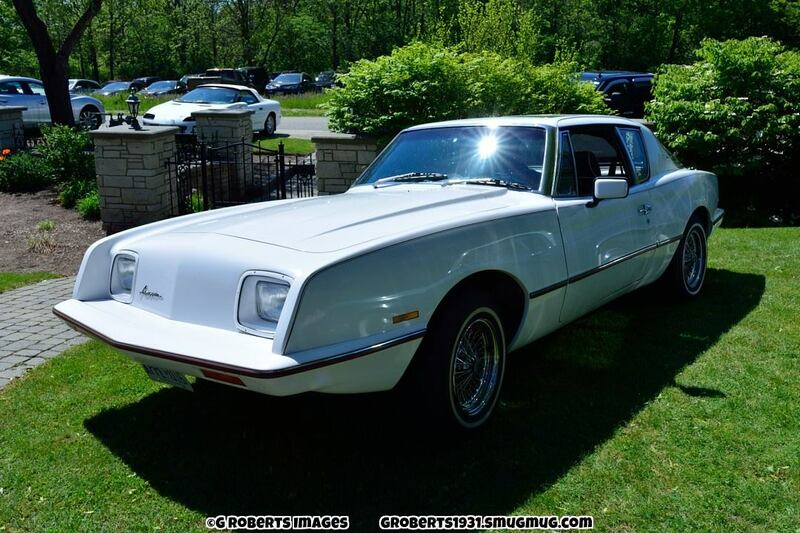 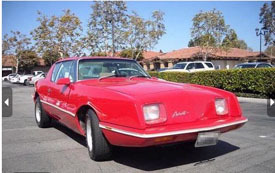 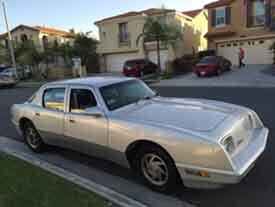 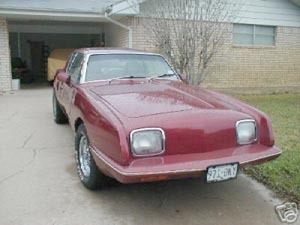 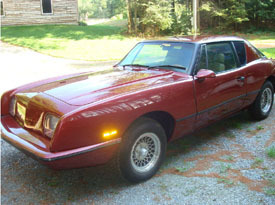 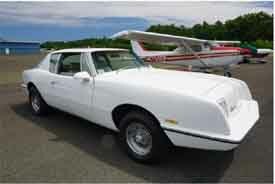 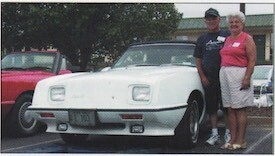 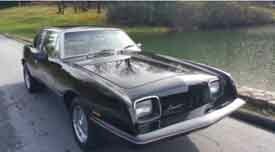 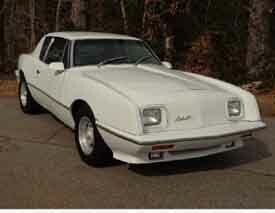 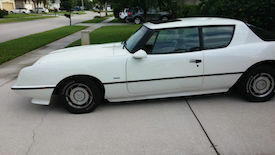 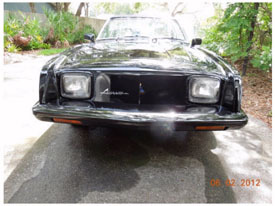 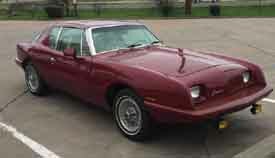 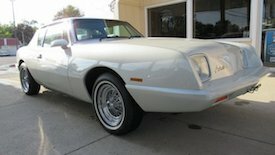 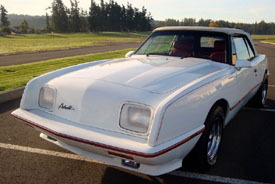 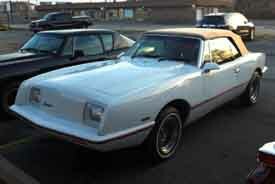 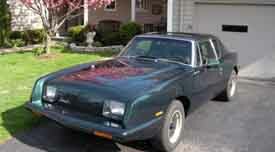 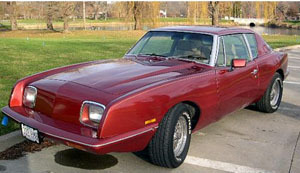 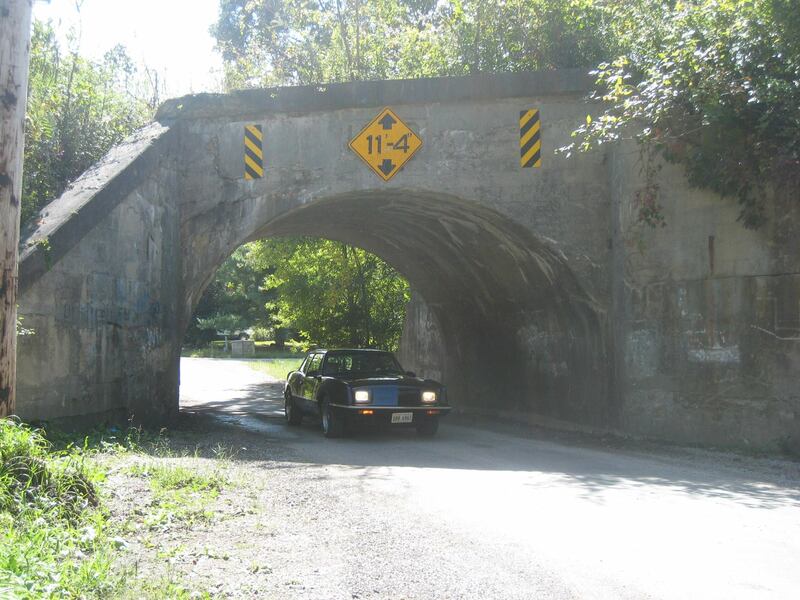 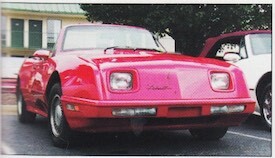 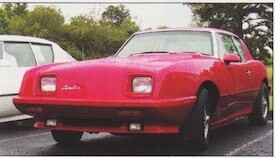 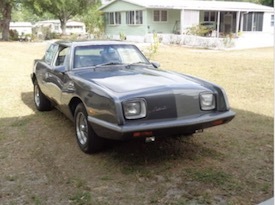 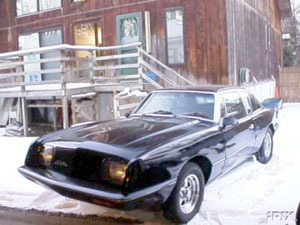 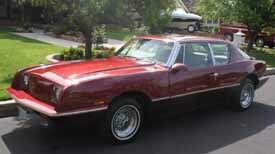 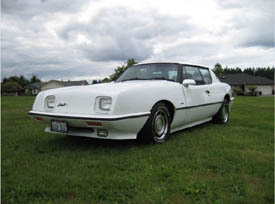 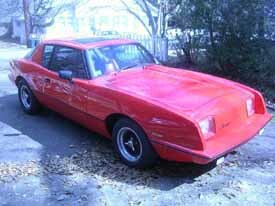 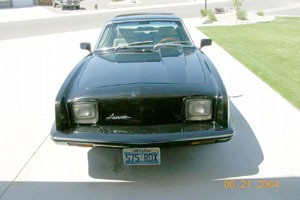 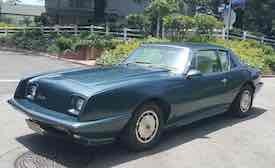 In Oct. 1998 a 1979 Cougar ran a stop sign and "T boned" me in my 1984 Avanti. 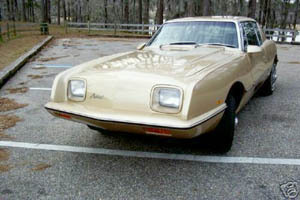 It spun me around and then Nose first over a 5 ft embankment! 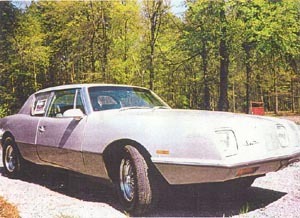 Every panel on the Avanti was damaged except the trunk lid. 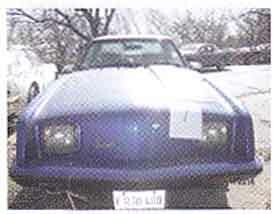 The Cougar dead centered the roll bar on the right side but the roll bar held and put a 9'" deep "V" in the bumper of the Cougar! 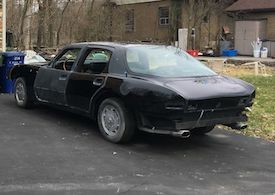 I had my seat belt fastened and wasn't injured.The officer that investigated couldn't believe the damage the roll bar did to the Cougar nor could he believe I wasn't injured! 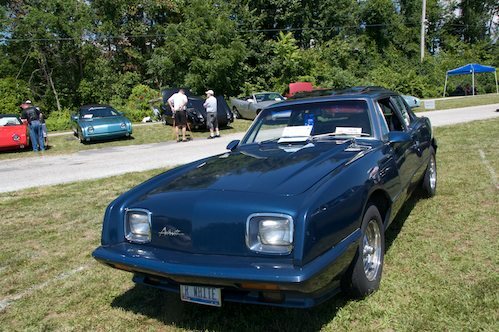 1985 AAV-4211 - Country Classic Cars, Staunton, IL - July 2016 - Ref. 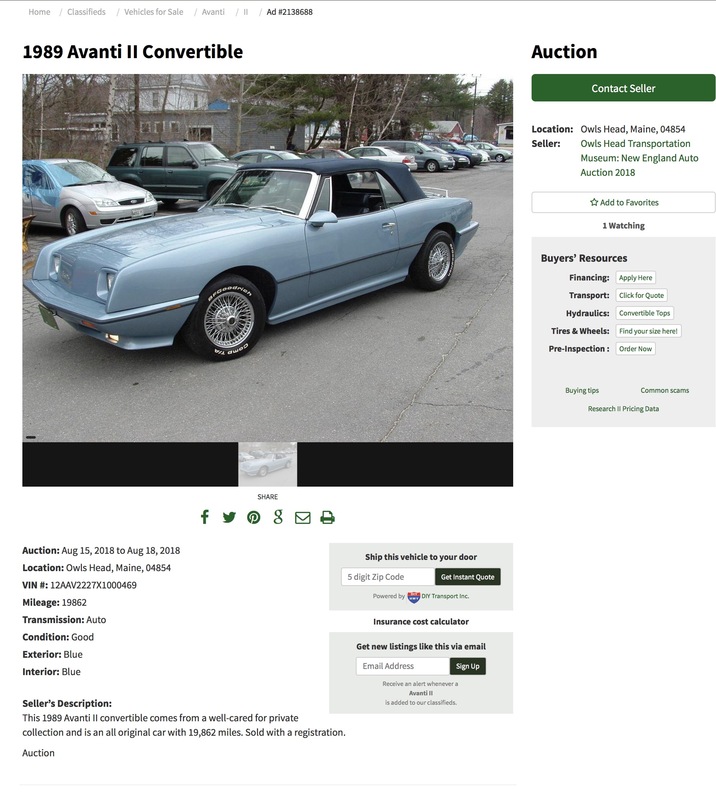 . .
Michael E. Kelly, a South Bend native and entrepreneur, purchased the assets of the Avanti Motor Corporation in April of 1986. 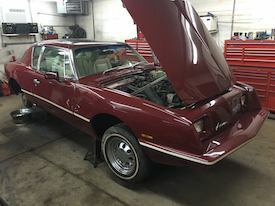 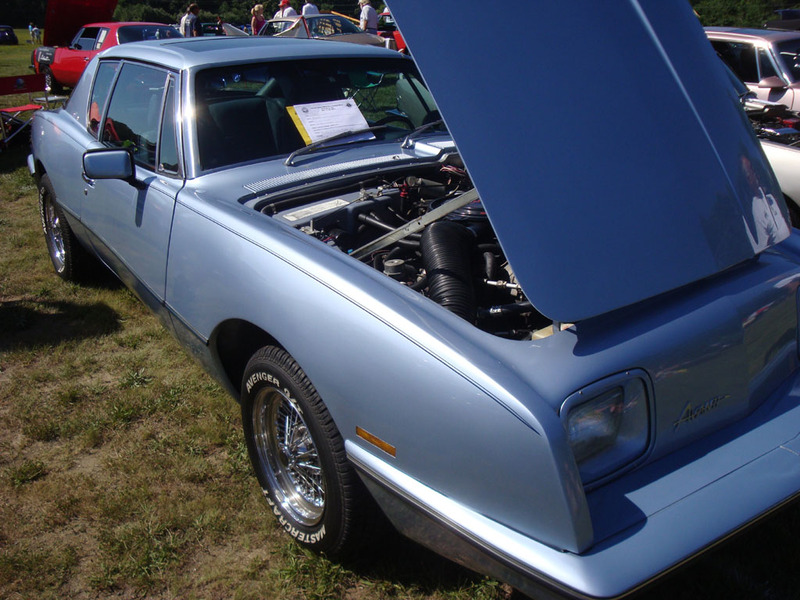 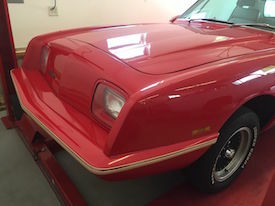 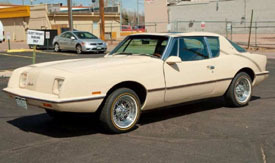 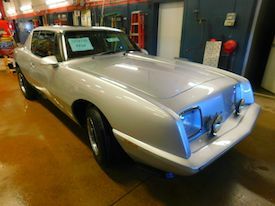 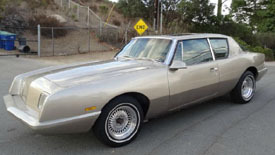 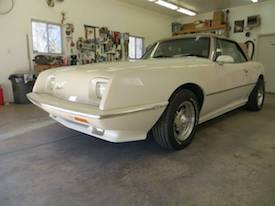 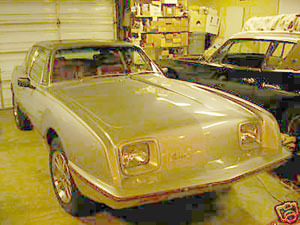 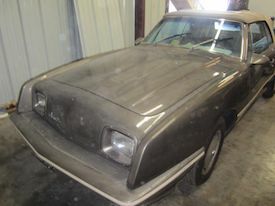 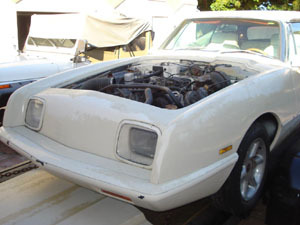 Mr. Kelly embarked on an aggressive program to restore the Avanti to prominence in the limited production automotive field. 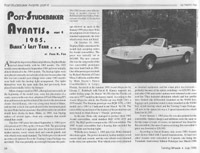 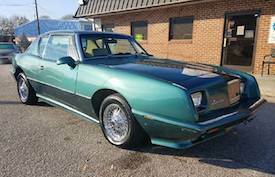 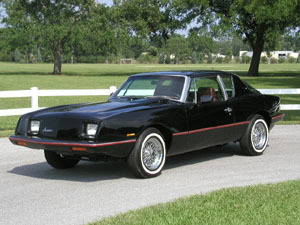 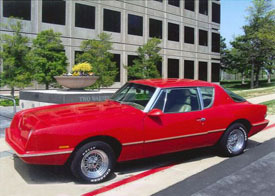 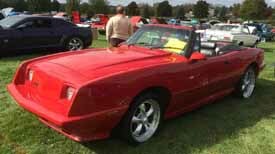 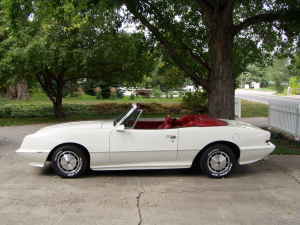 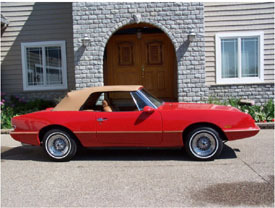 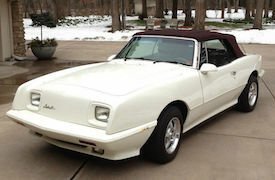 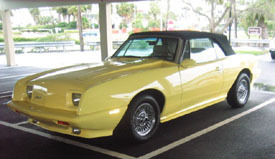 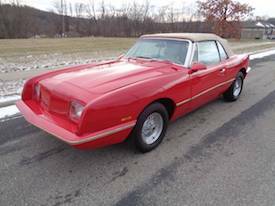 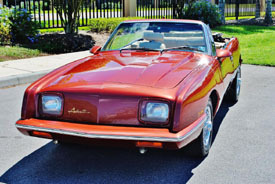 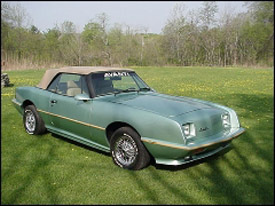 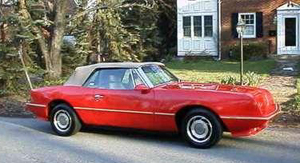 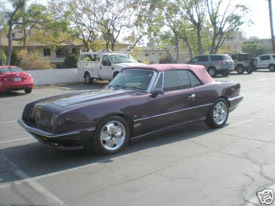 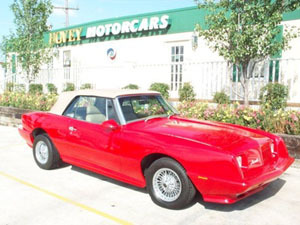 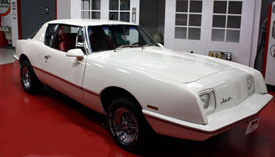 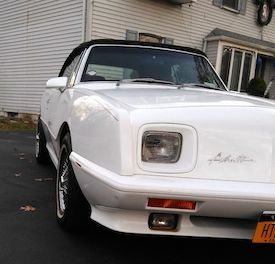 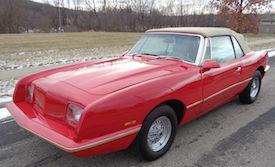 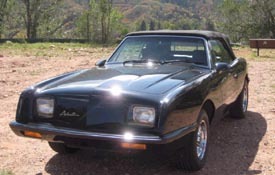 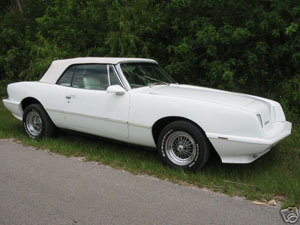 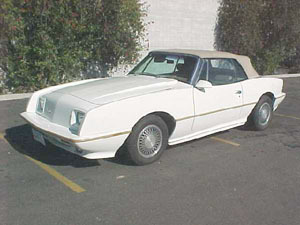 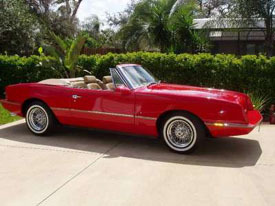 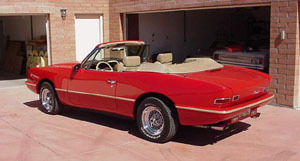 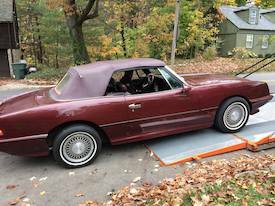 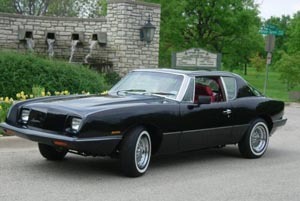 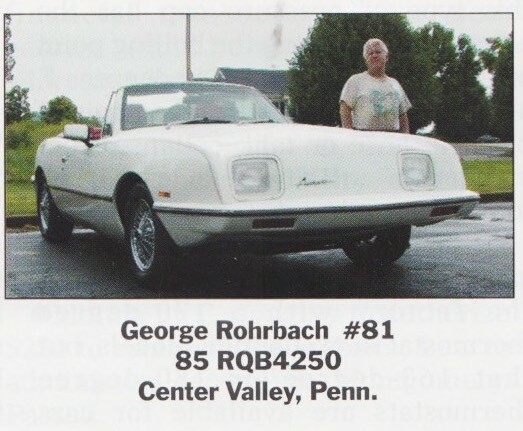 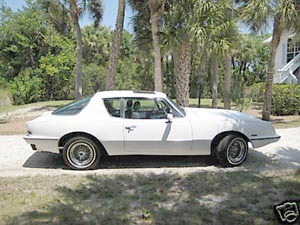 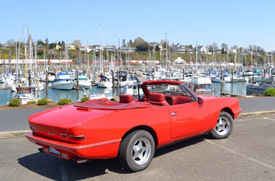 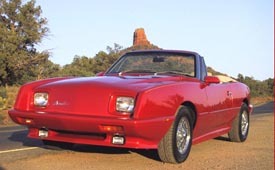 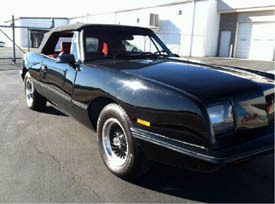 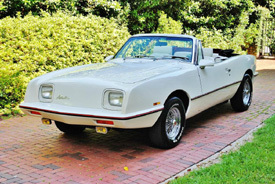 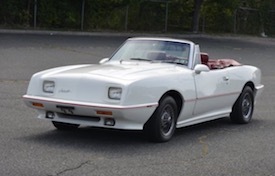 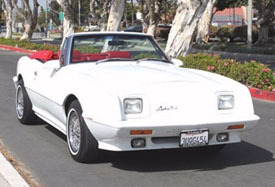 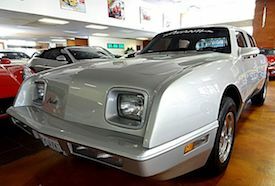 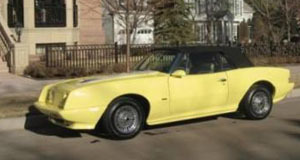 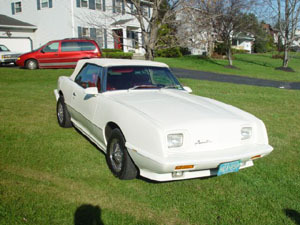 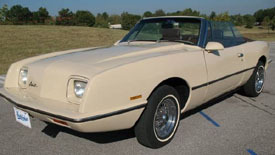 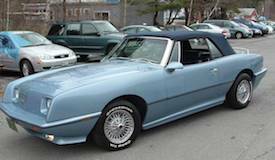 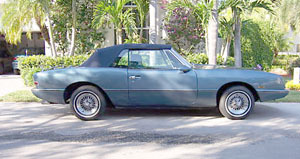 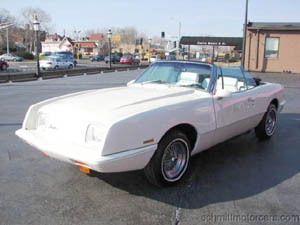 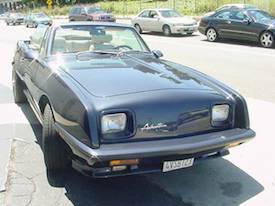 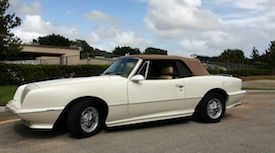 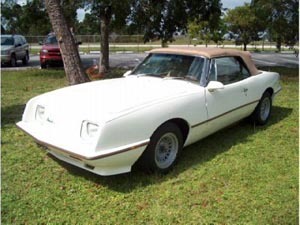 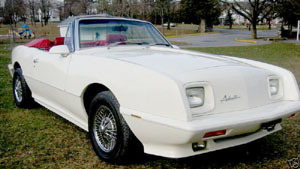 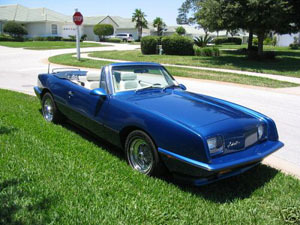 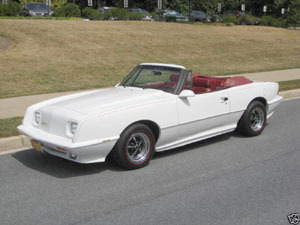 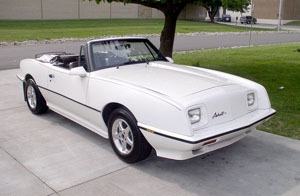 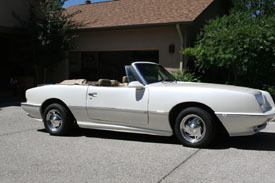 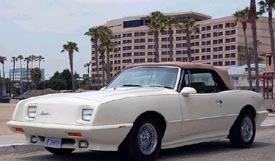 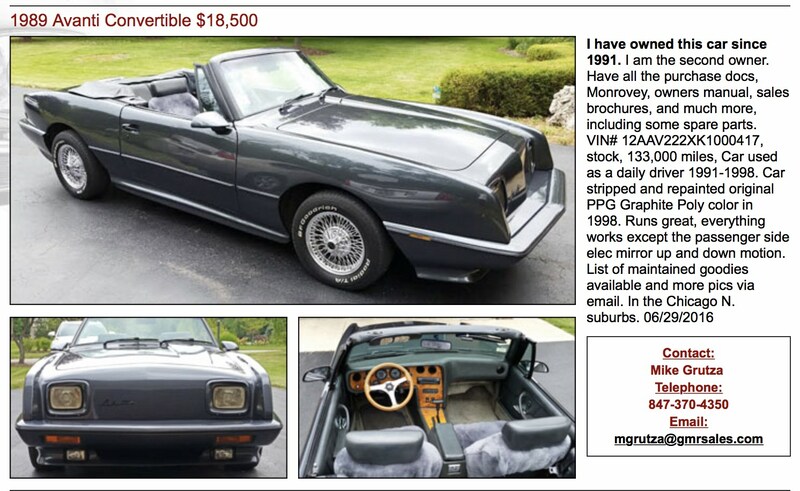 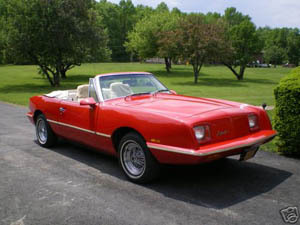 His company the New Avanti Motor Corporation reintroduced the convertible, coupe, and a new model the luxury stretch coupe on a new GM platform for 1987. 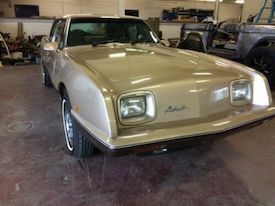 This change was significant as the Avanti no longer rested on a Studebaker frame, whose technology dated back to the late 1950's. 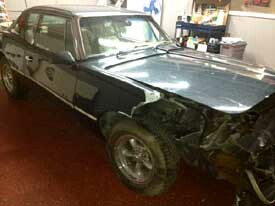 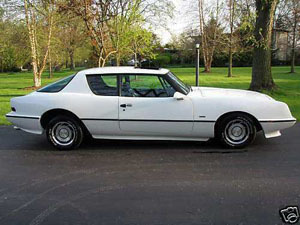 Additionally, the car now possessed a bullet-proof drivetrain which could be serviced by any GM dealer. 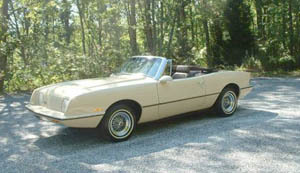 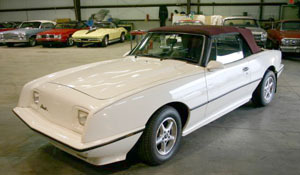 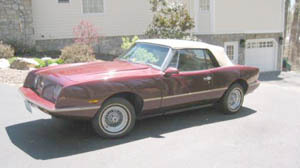 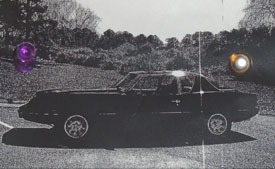 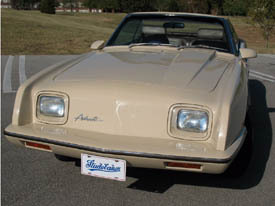 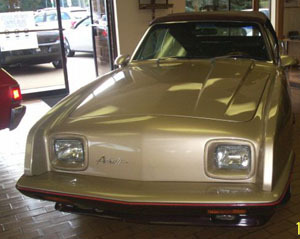 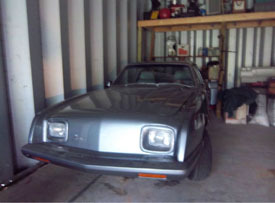 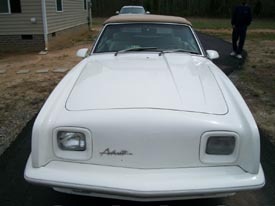 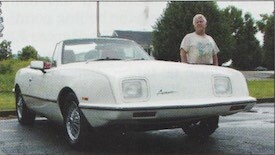 (The first Avanti convertible and coupe built by Mr. Kelly reside at the plant in Villa Rica as part of his permanent collection.) 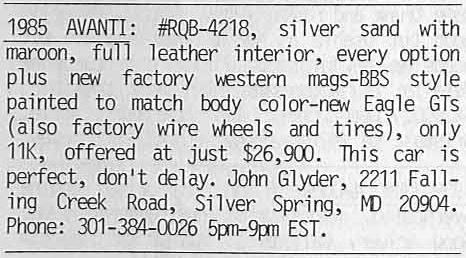 Late in 1987 Mr. Kelly added a partner, John J. Cafaro (JJ) and plans were made to transfer production from South Bend, Indiana to Youngstown Ohio. 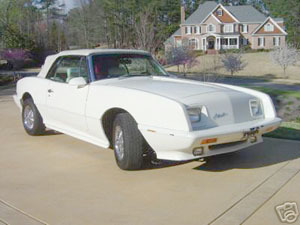 The move took place during the 4th Quarter of 1987. 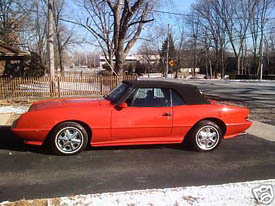 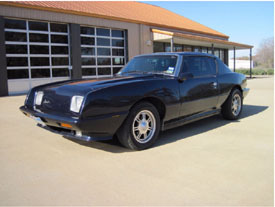 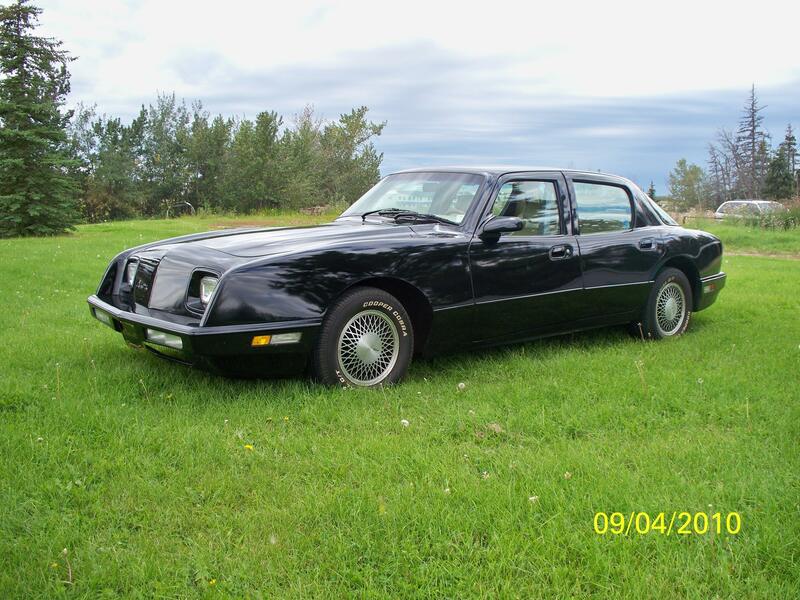 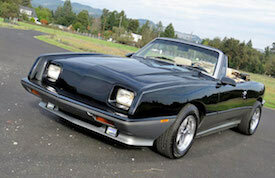 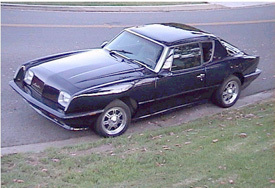 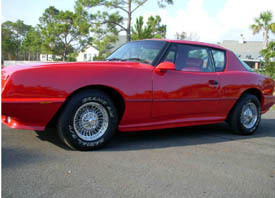 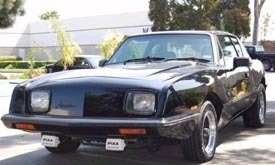 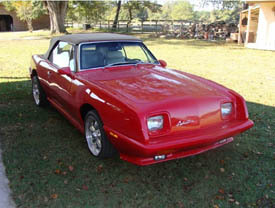 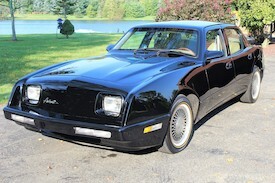 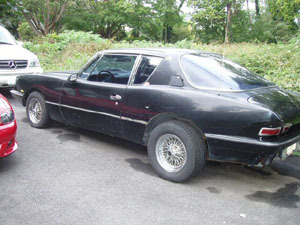 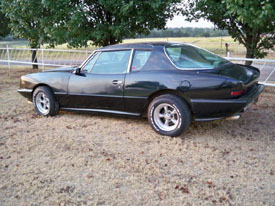 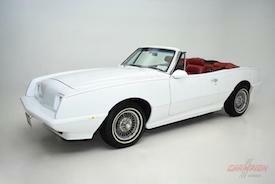 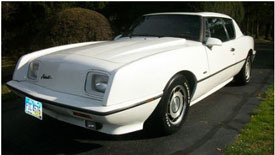 For model year 1988 a special run of 25th Anniversary coupes were built and immediately sold out. 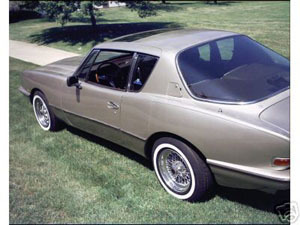 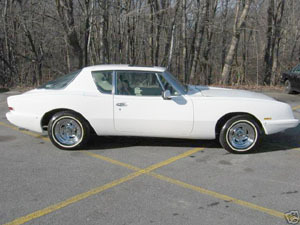 The 25th Anniversary coupes were all built as luxury stretch coupes, finished in pearl white, and carried Paxton superchargers under the hood. 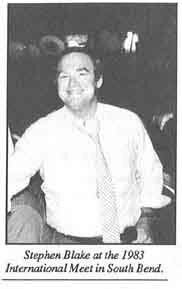 Mr. Kelly sold his interests to his partner during 1988 to pursue new business opportunities in the hotel/resort industry. 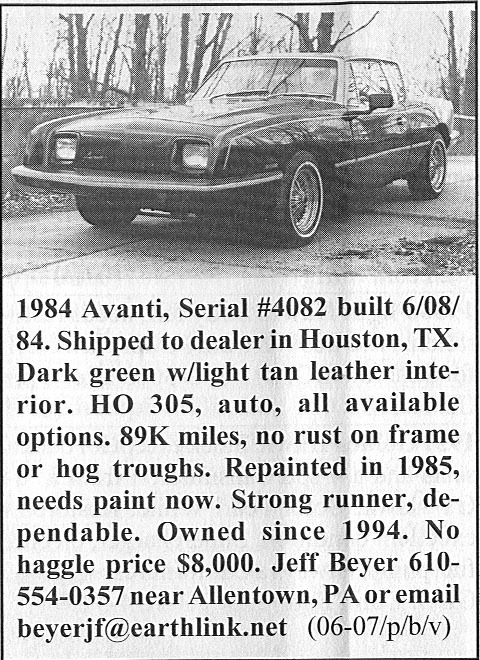 1986 was not a good year for Avanti, solely due to the disaster with the new type paint and all the returns to correct problems. 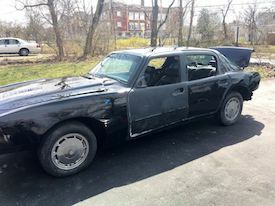 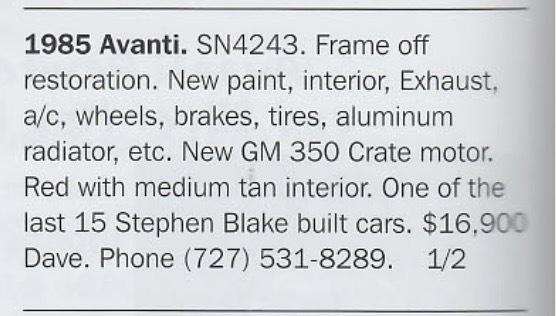 EBAY SALE 19 December 2001 - fully equiped with power windows and locks, cassette player, power six way heated seats, sun roof, color TV in the rear seats, rear headphone jacks, leather seats and a woodgrain dash. 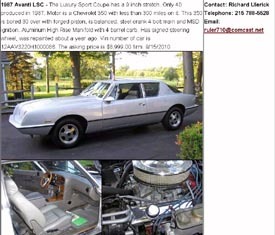 It is the ultimate in luxury sports cars available. 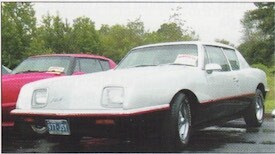 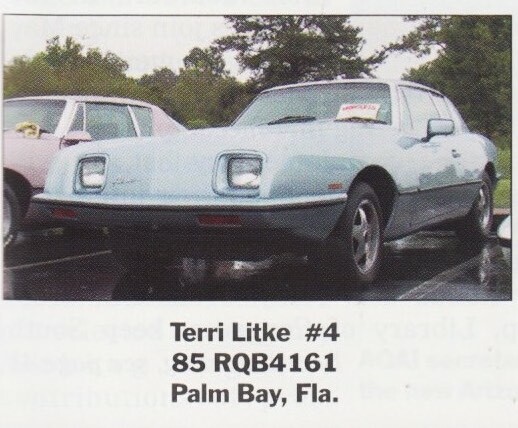 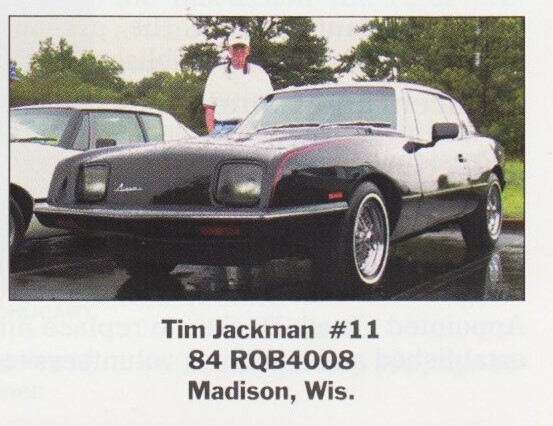 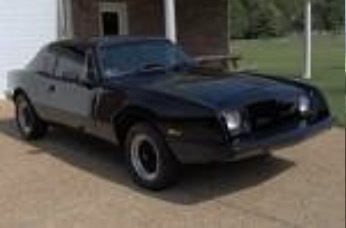 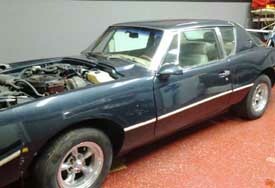 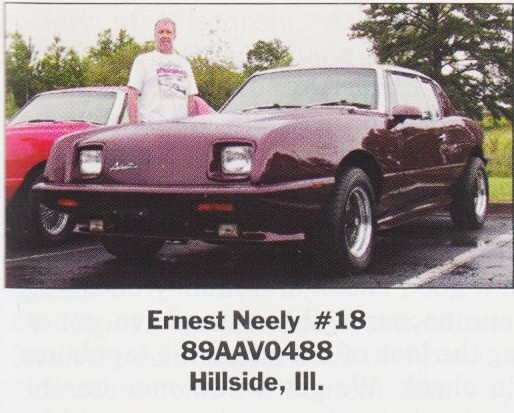 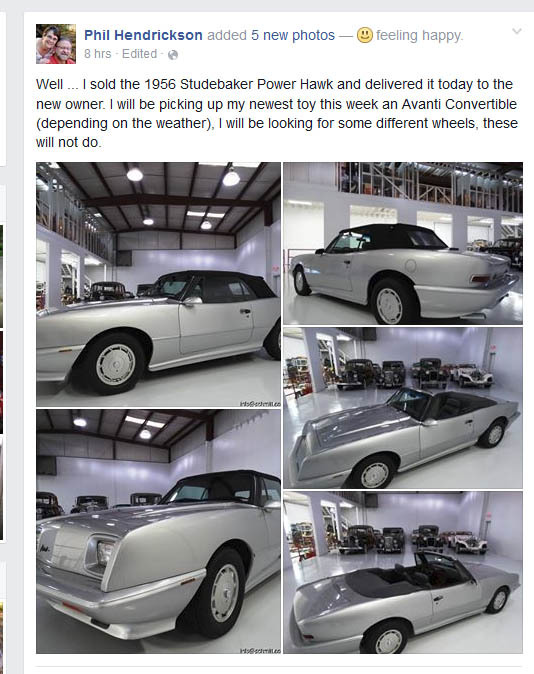 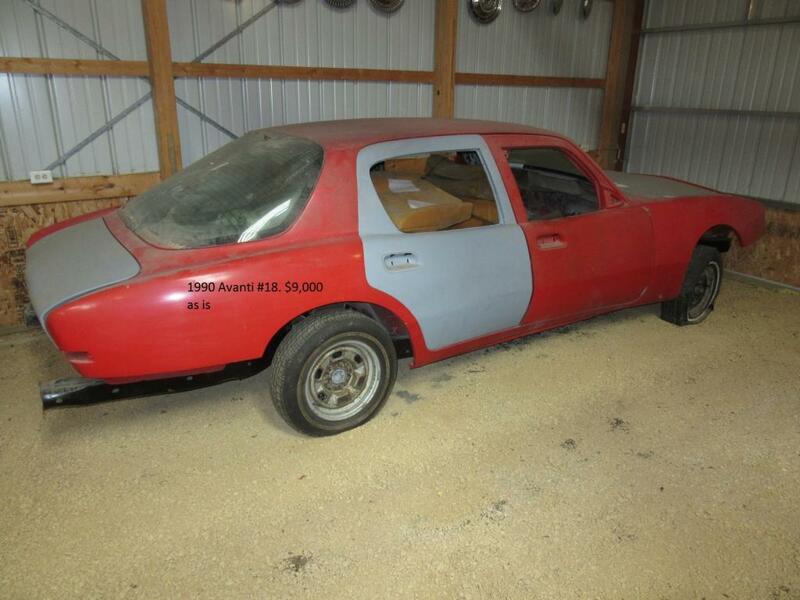 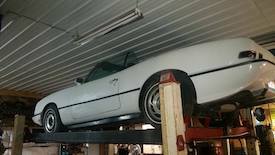 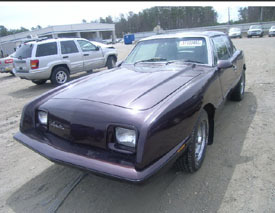 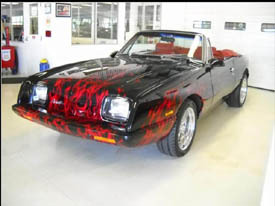 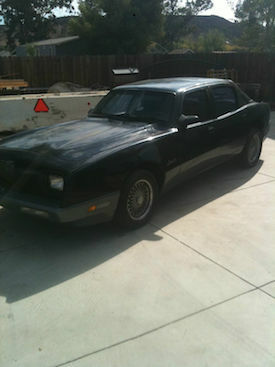 In 1987 this car sold for over 55,000 dollars. 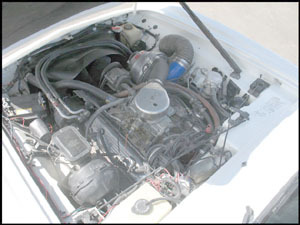 injection system to replace the Computer Controlled Carburetor. 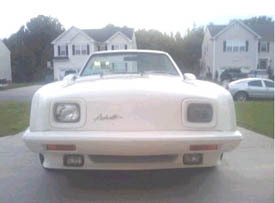 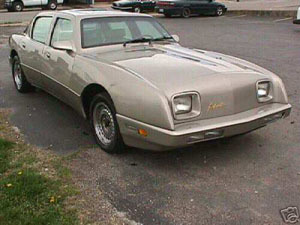 1987 Avanti AAV-???? 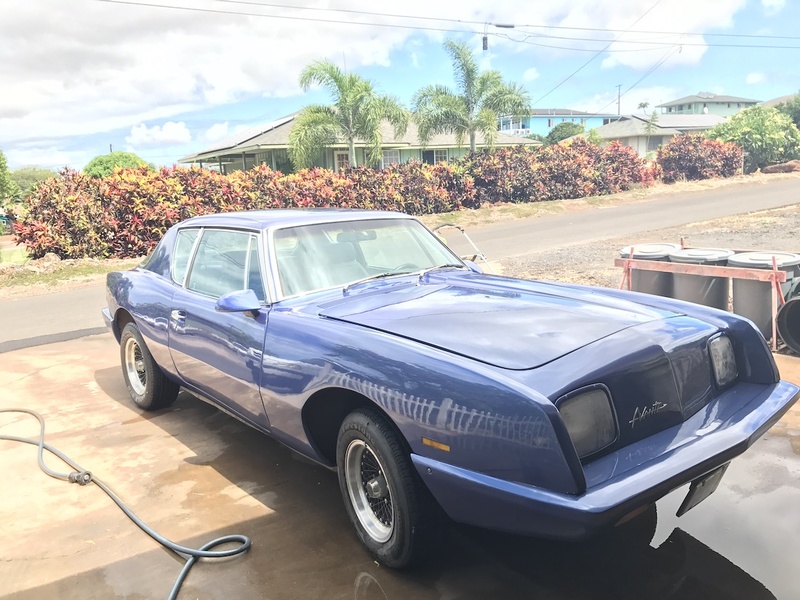 - Hemmings Classifieds - Feb 2018 Ref . 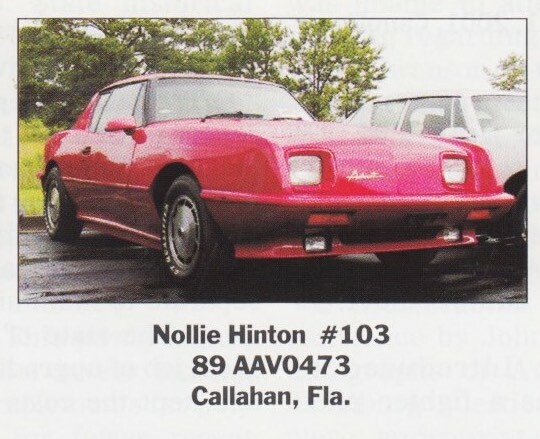 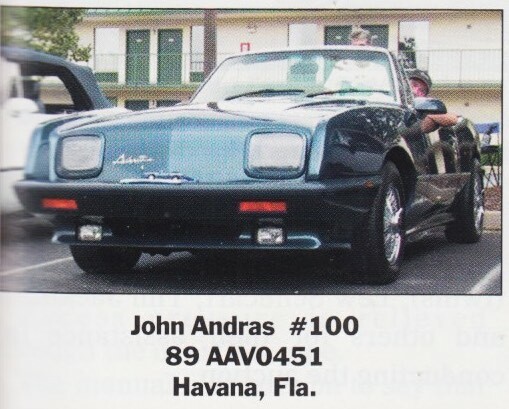 This is not 87AV1064 ( no such car), the listing was corrected on Ebay, but info was lost. 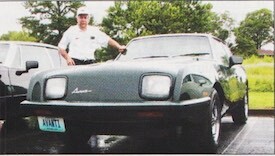 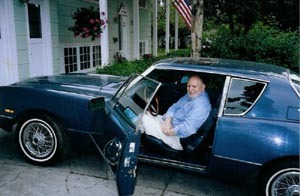 John J. Cafaro, became Avantis fifth owner in 1988. 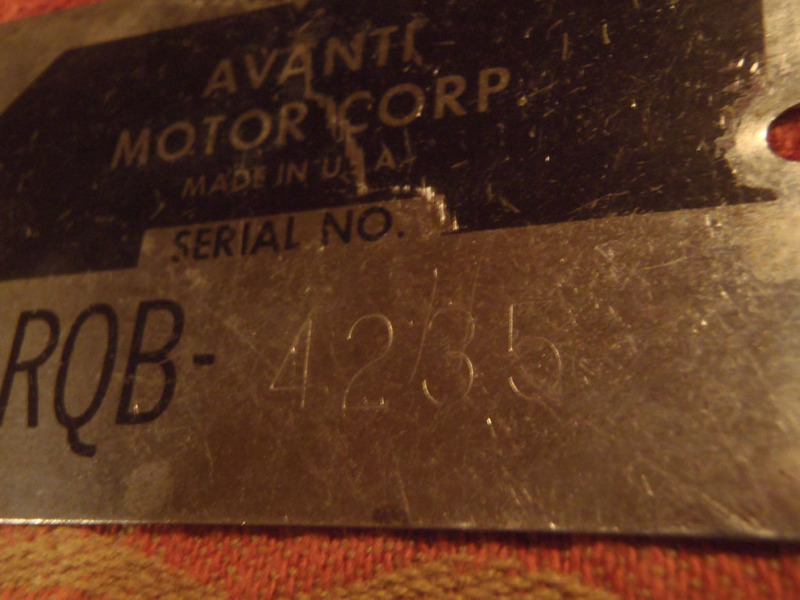 He changed the name of the company to Avanti Automotive Corporation. 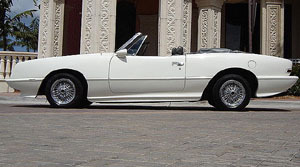 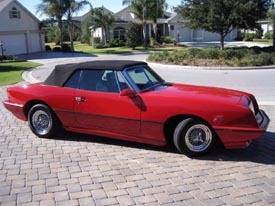 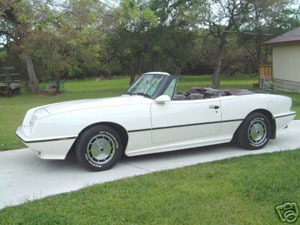 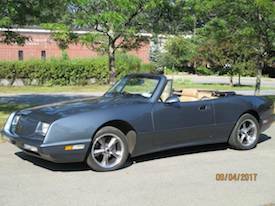 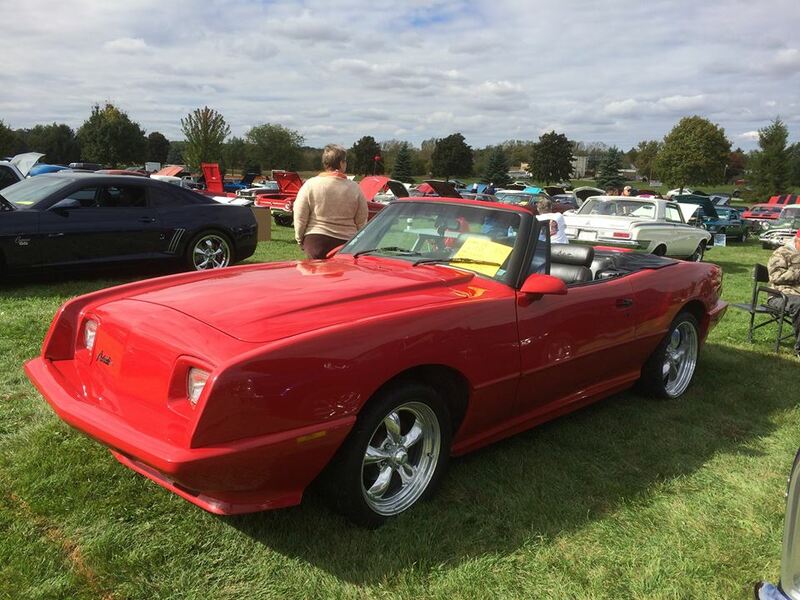 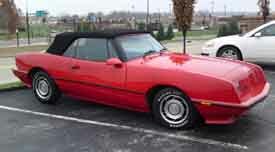 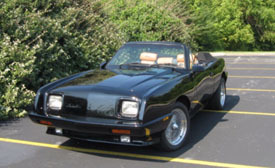 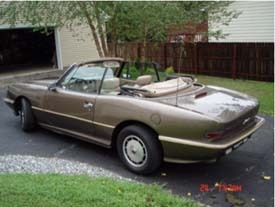 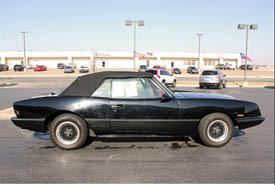 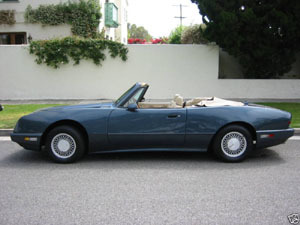 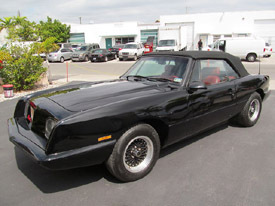 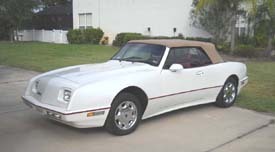 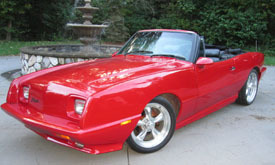 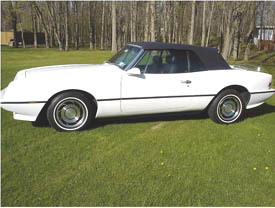 For model years 1988 & 1989 the company continued to build the convertible and coupe while beginning prototyping a four door model and convertible replacement. 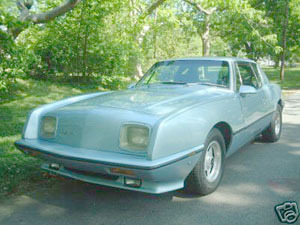 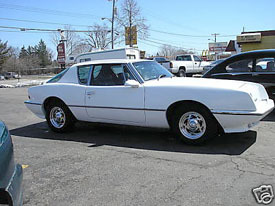 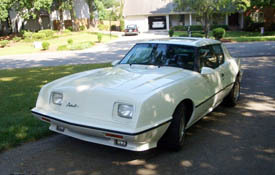 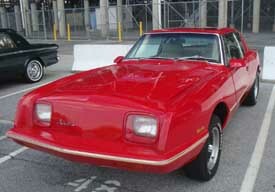 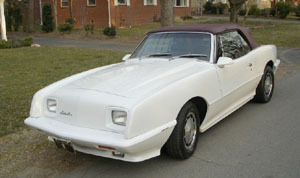 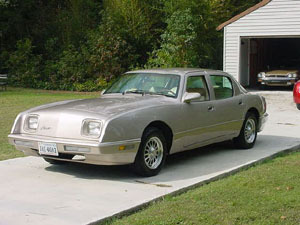 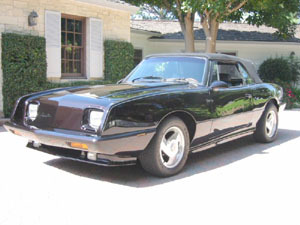 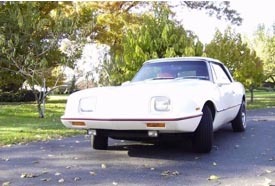 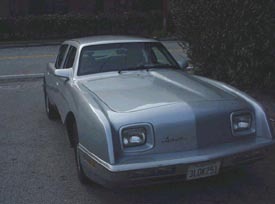 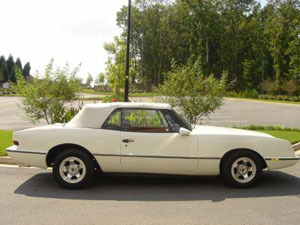 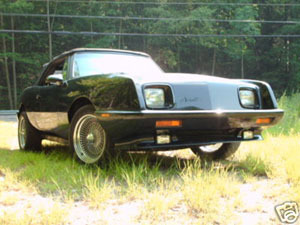 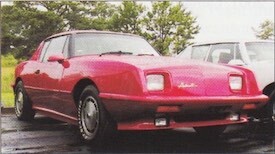 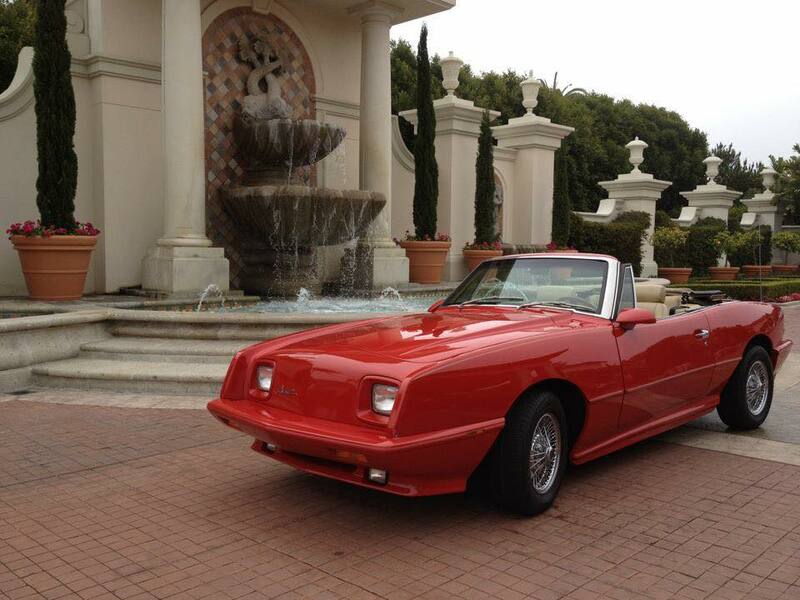 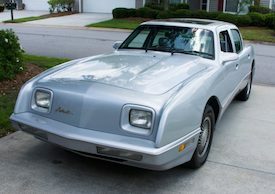 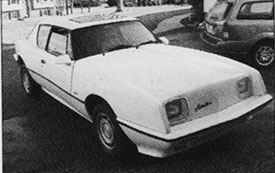 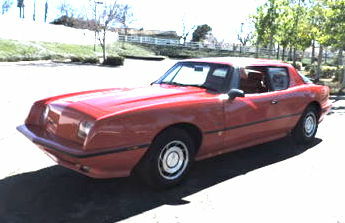 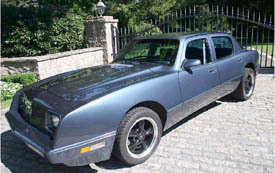 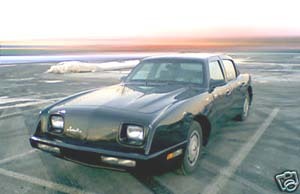 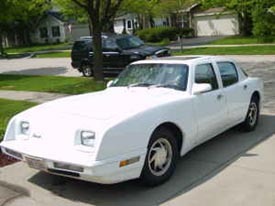 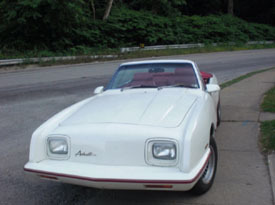 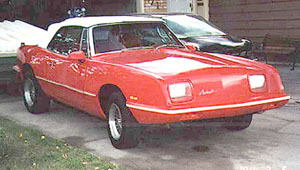 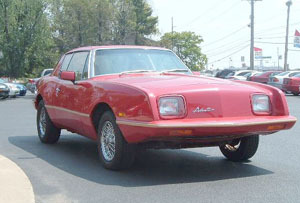 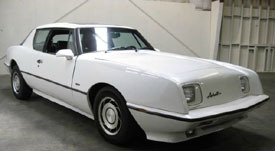 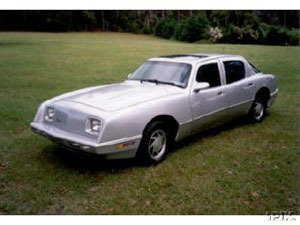 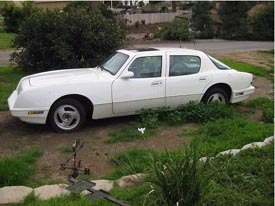 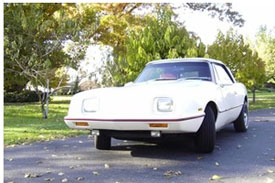 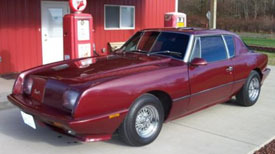 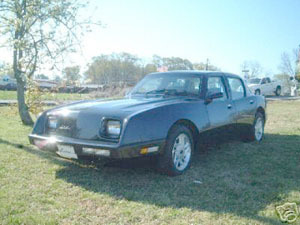 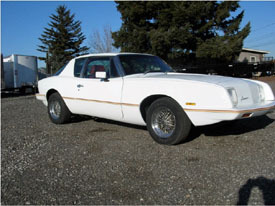 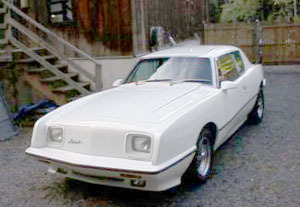 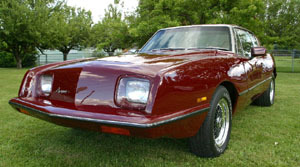 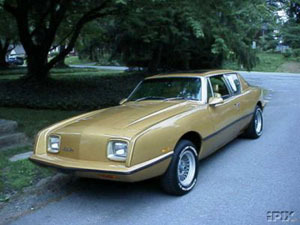 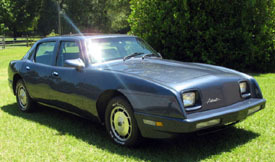 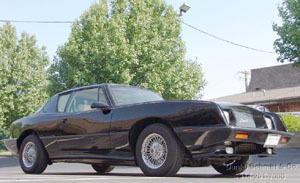 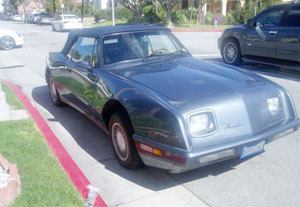 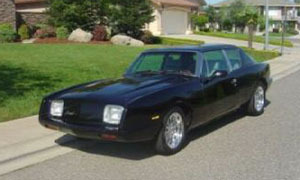 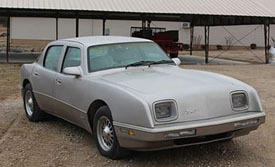 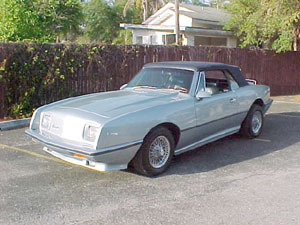 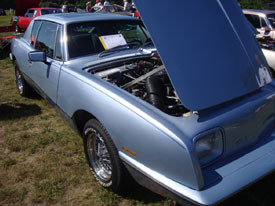 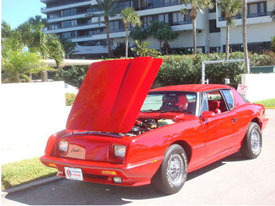 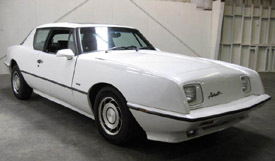 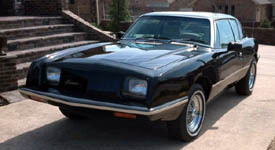 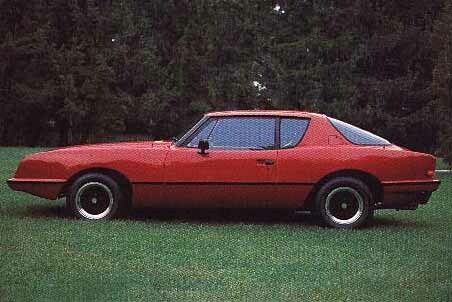 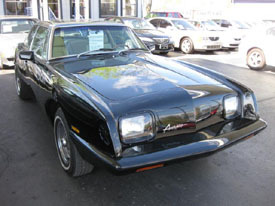 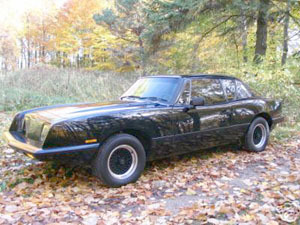 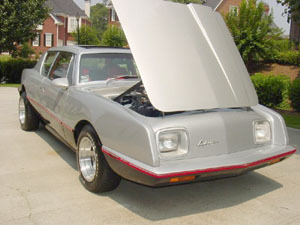 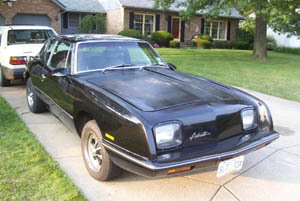 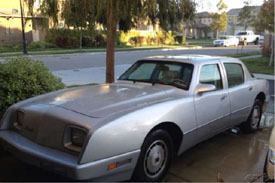 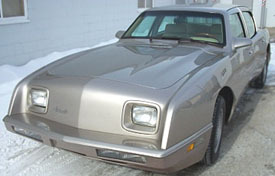 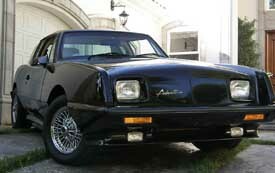 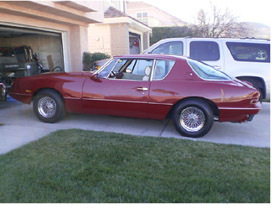 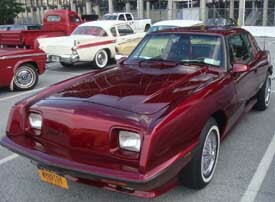 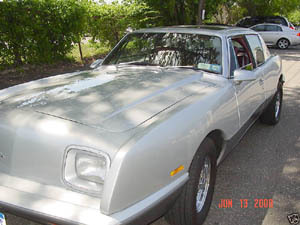 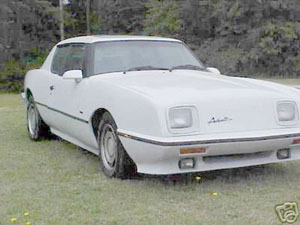 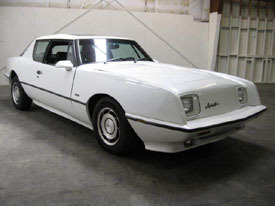 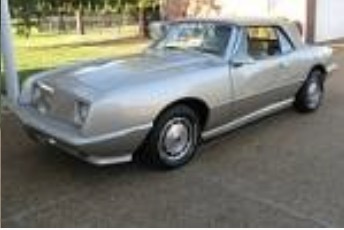 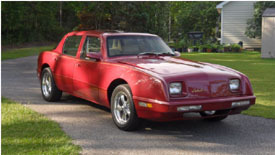 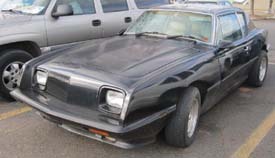 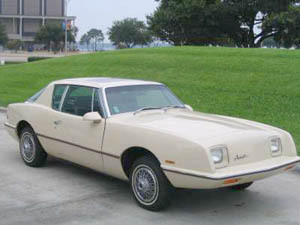 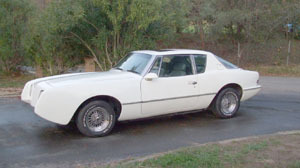 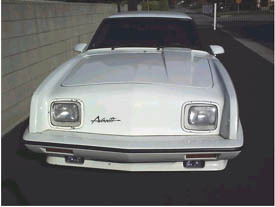 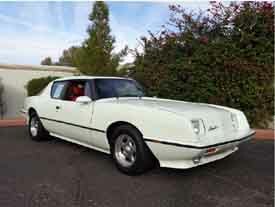 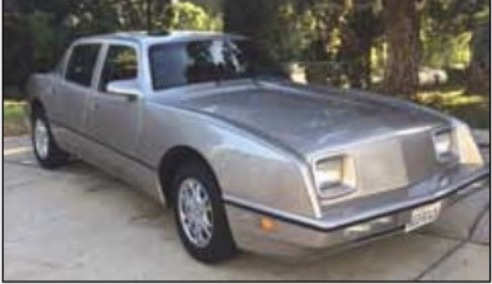 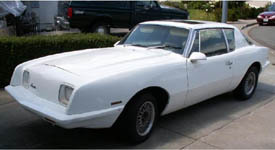 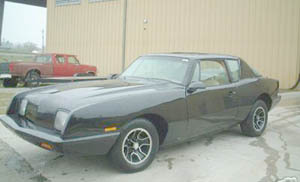 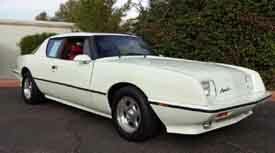 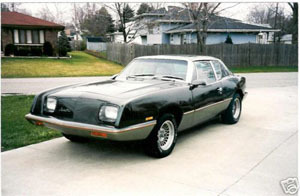 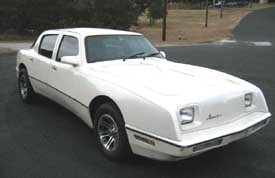 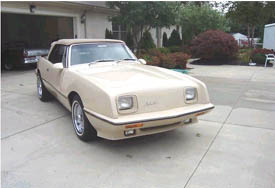 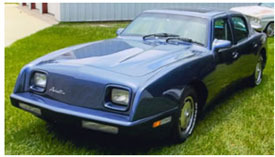 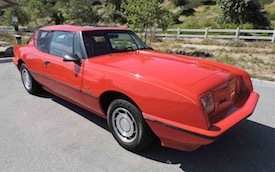 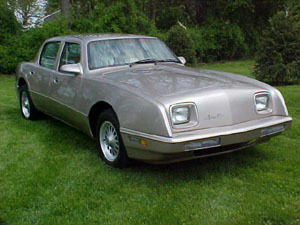 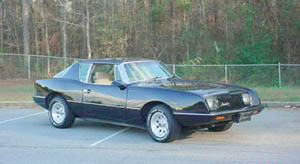 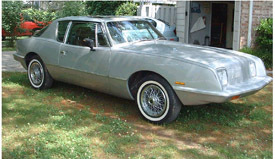 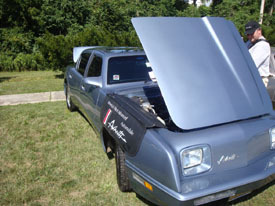 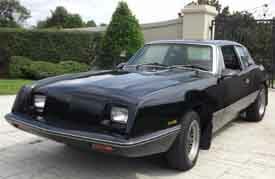 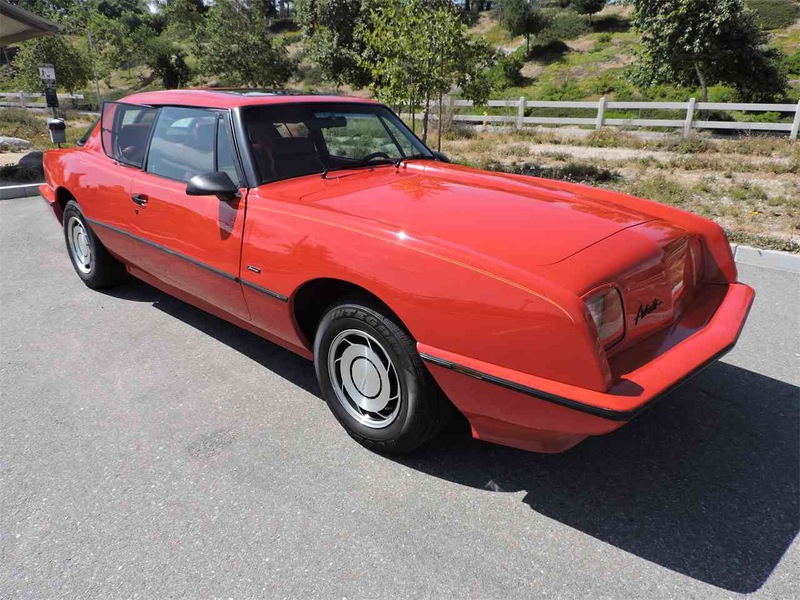 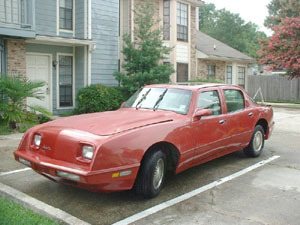 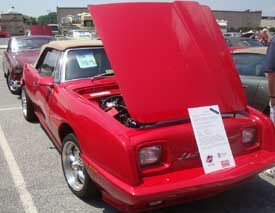 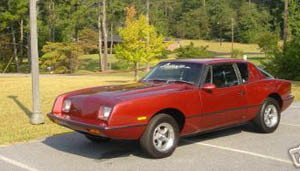 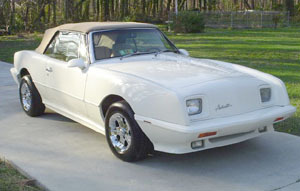 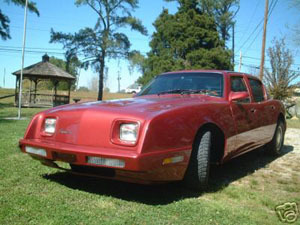 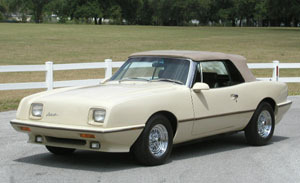 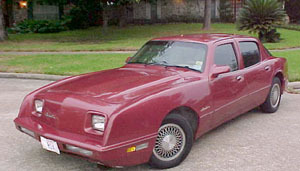 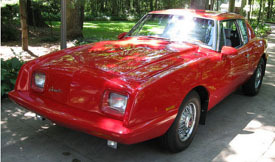 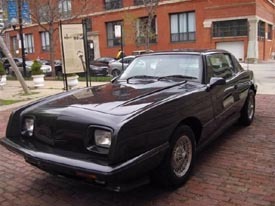 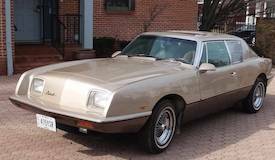 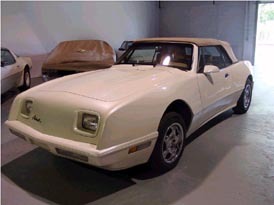 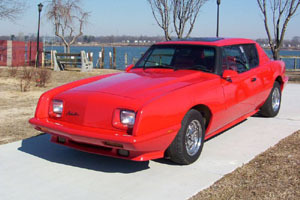 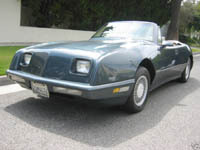 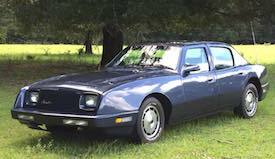 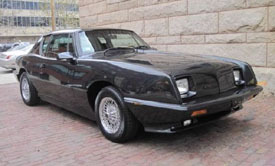 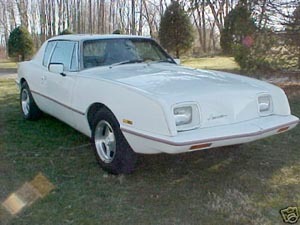 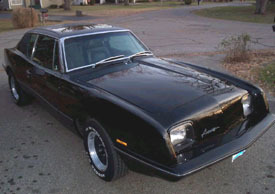 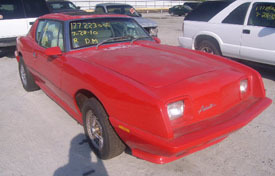 Up to and including the 1988 model, the Avanti was placed on a GM Monte Carlo chassis. 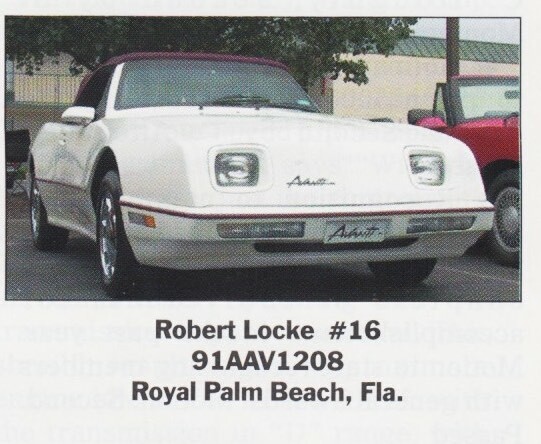 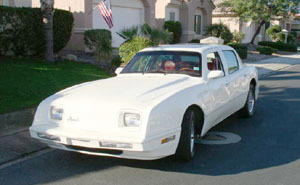 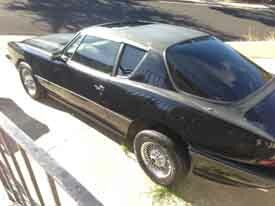 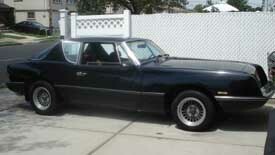 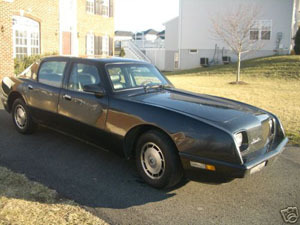 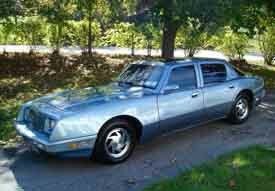 GM discontinued the Monte Carlo in 1989 and forced AAC to use the Caprice chassis for 1989 and later Avantis. 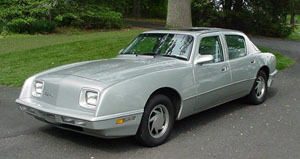 The 1989 and later models have 2 inch wider track than the previous year and earlier versions. 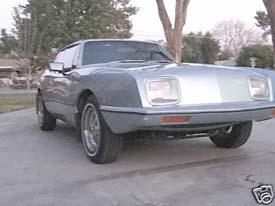 To keep the styling changes to a minimum, Cafaro used front wheel drive type wheels with a high positive offset to absorb the increased chassis width. 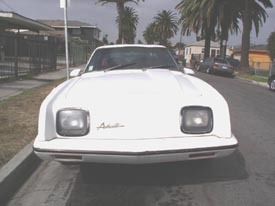 If the earlier wheels were used, they would protrude out from under the fender. 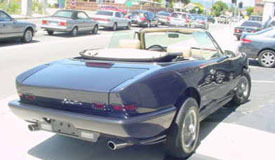 The 1990 Four door met resistance in the market place and production ceased in 1991 after a small amount of the new convertibles were built and sold in that model year. 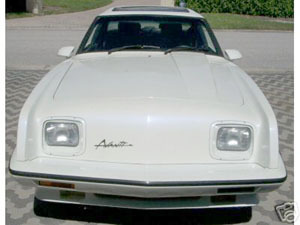 Avanti production ceased in Youngstown Ohio in 1991. 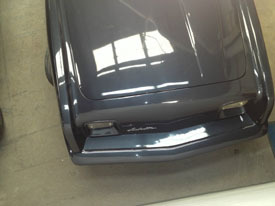 #1 of 37 manufactured. 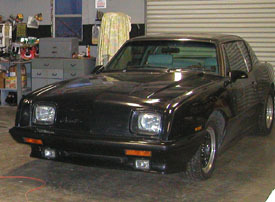 #1 of 25 supercharged models. 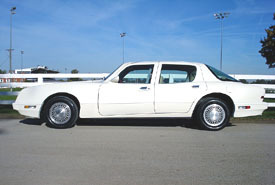 305HO, rear seat TV..
Pluses on these 89's. 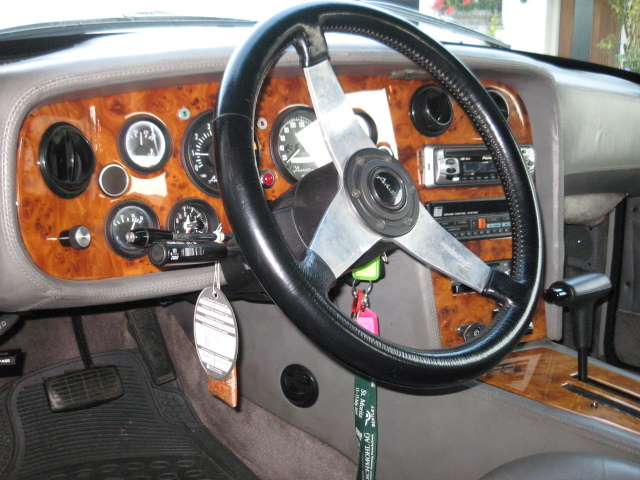 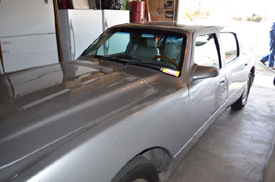 No Troughs, King pins or power steering hoses hanging down or gas tank fumes in the car. 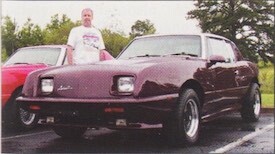 Jeff Rice, Brooklet GA - Nov 2010 - May 2011? 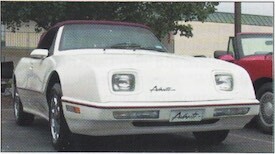 1990 AAV-1010 4-door - (duke10cecil), Washington D.C.
1990 AAV-1037 4-door - 1 Valerie Blake, Washington, D.C.
1990 AAV-1040 - Joh Moorlach. Orange County, CA - Feb 2015 - ref..